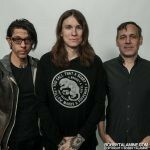 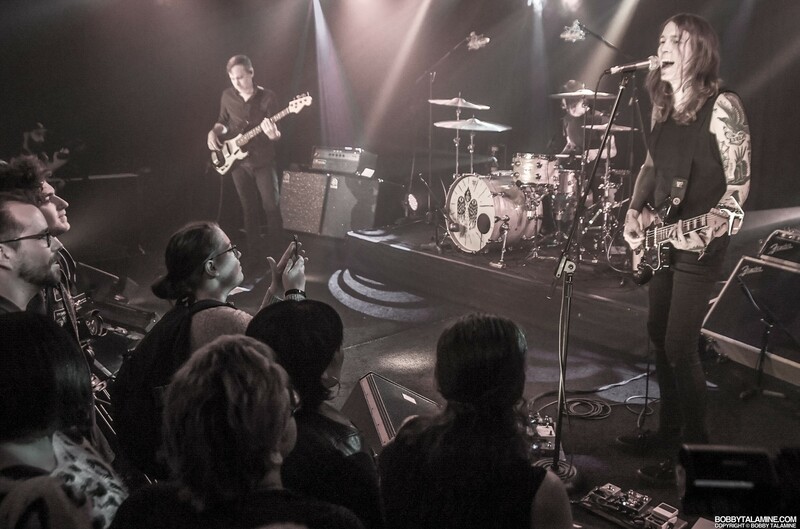 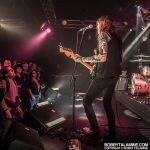 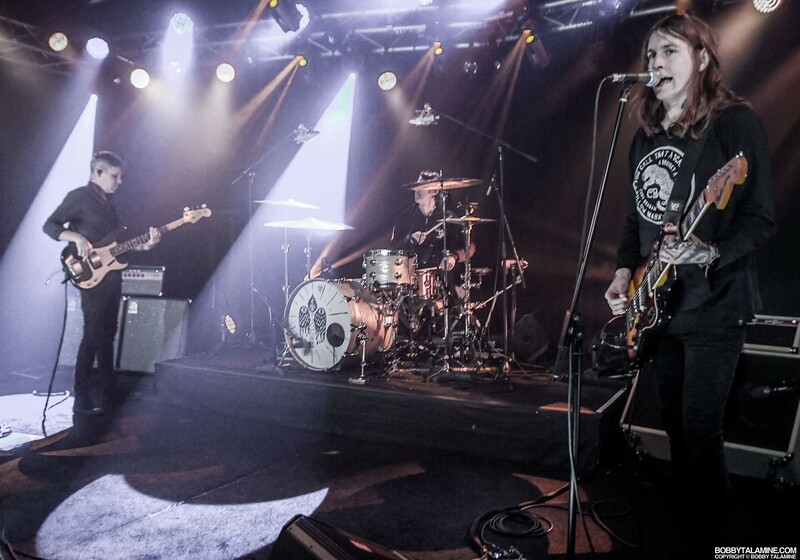 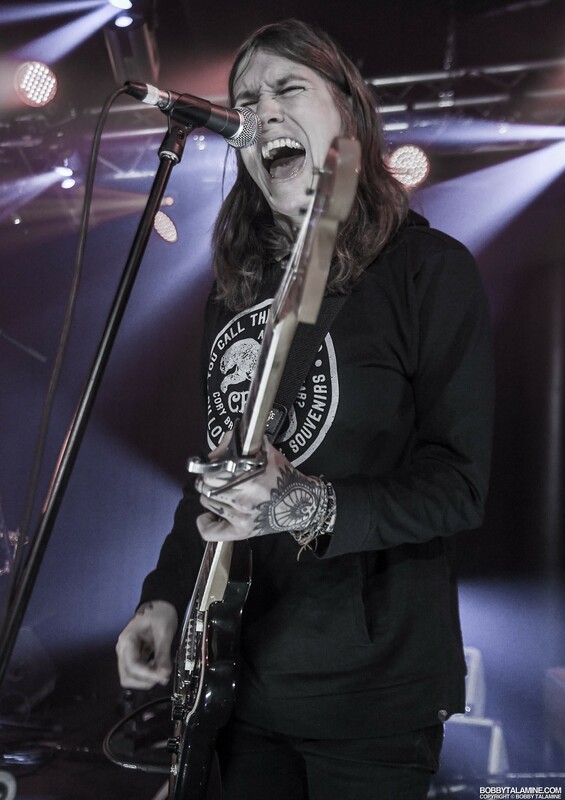 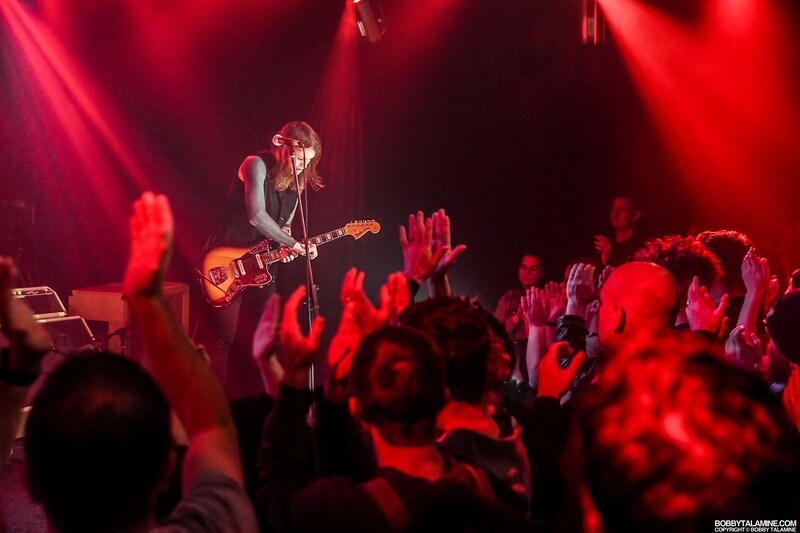 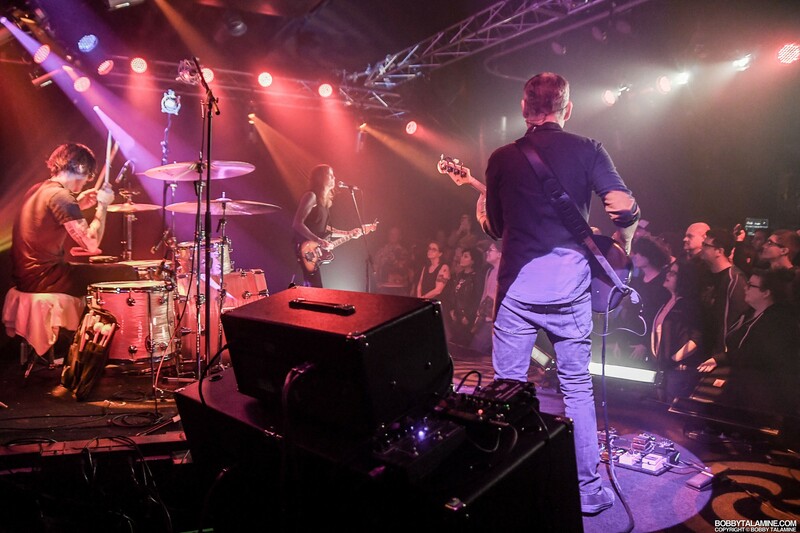 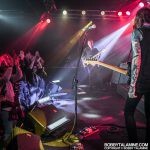 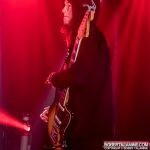 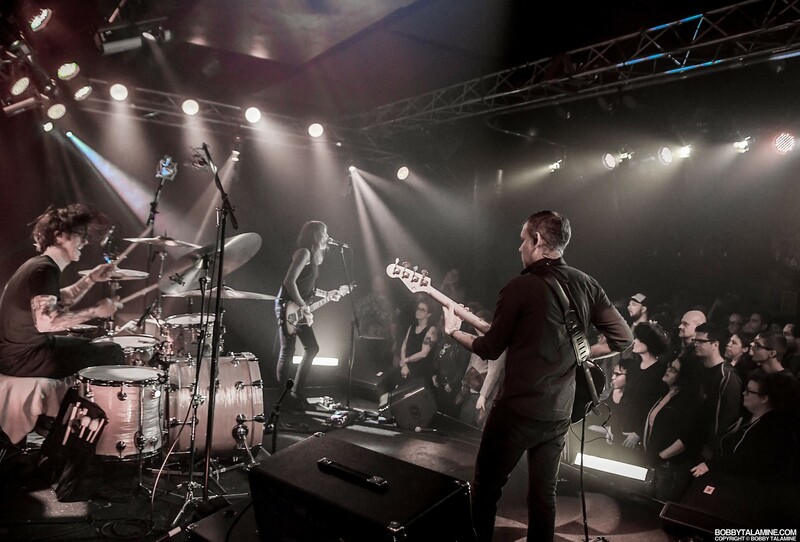 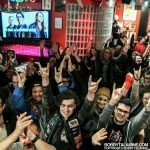 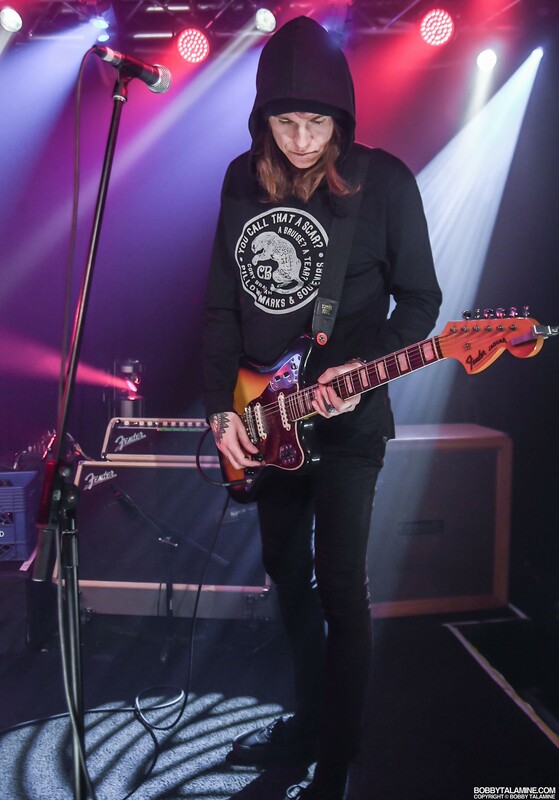 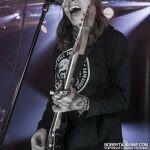 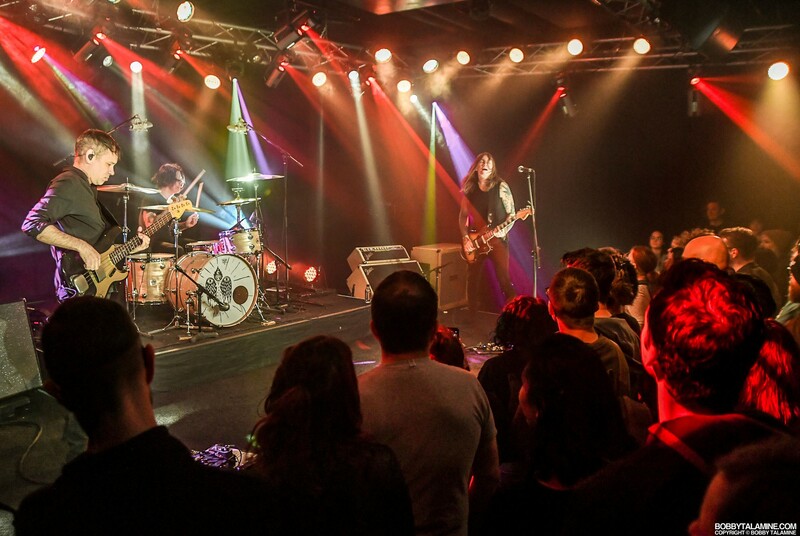 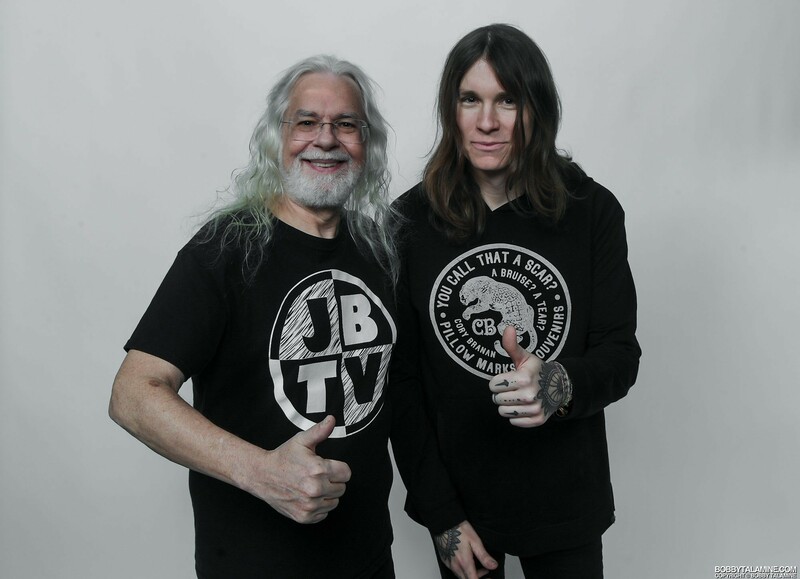 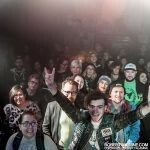 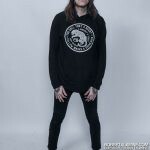 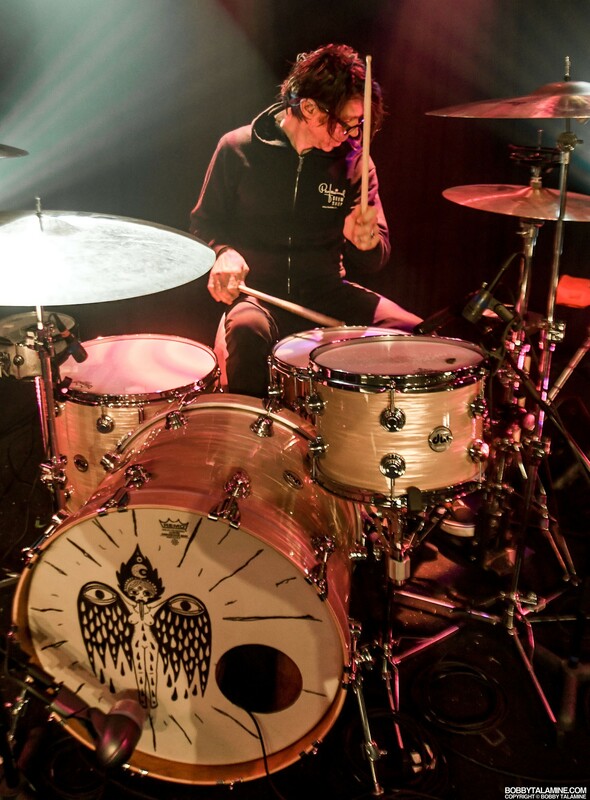 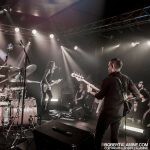 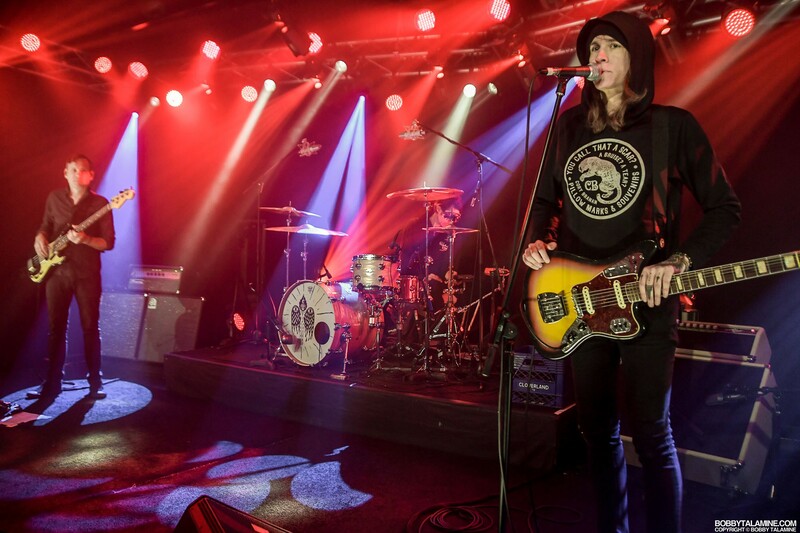 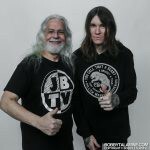 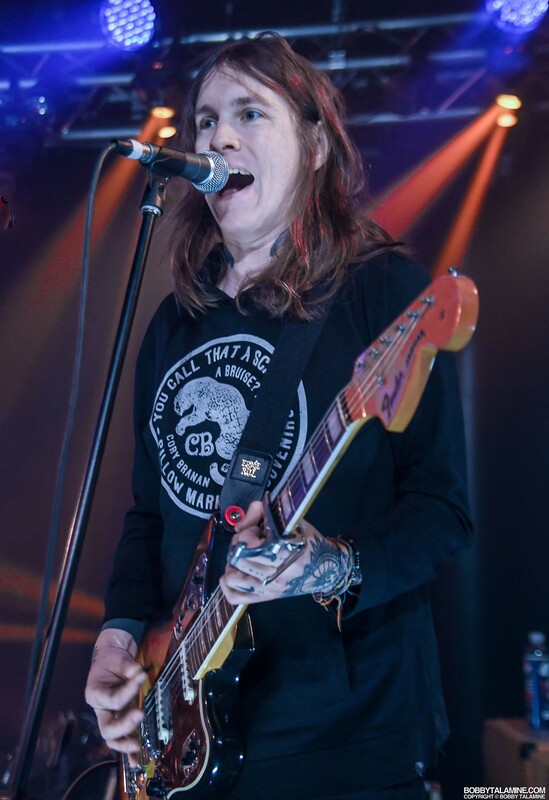 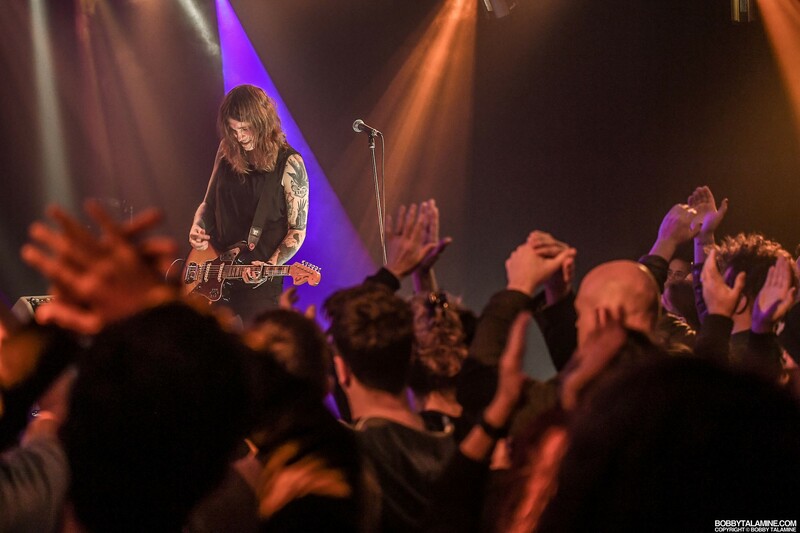 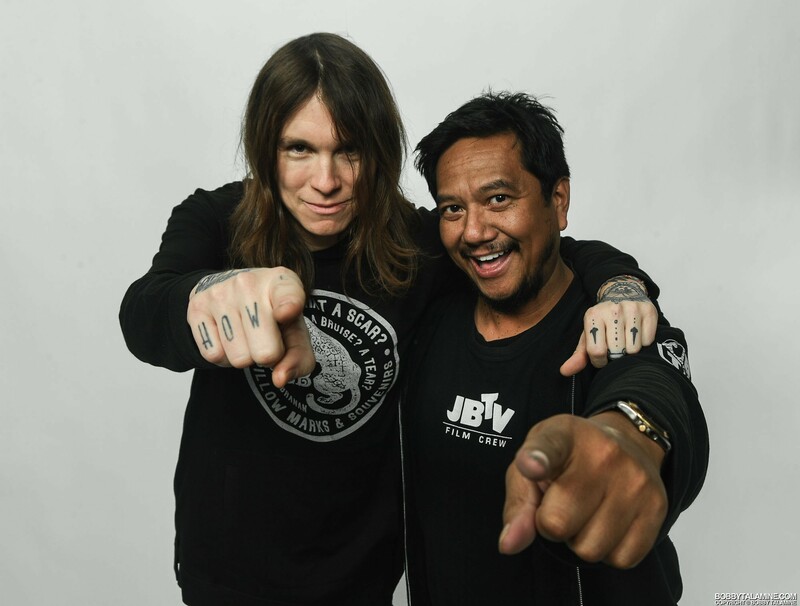 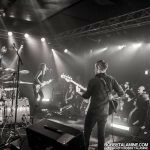 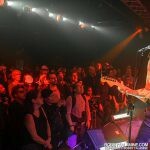 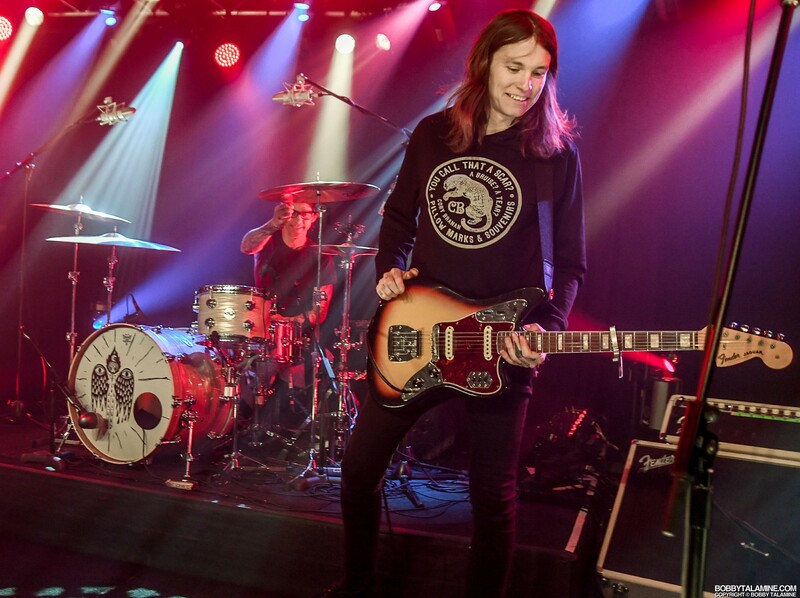 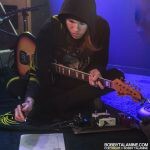 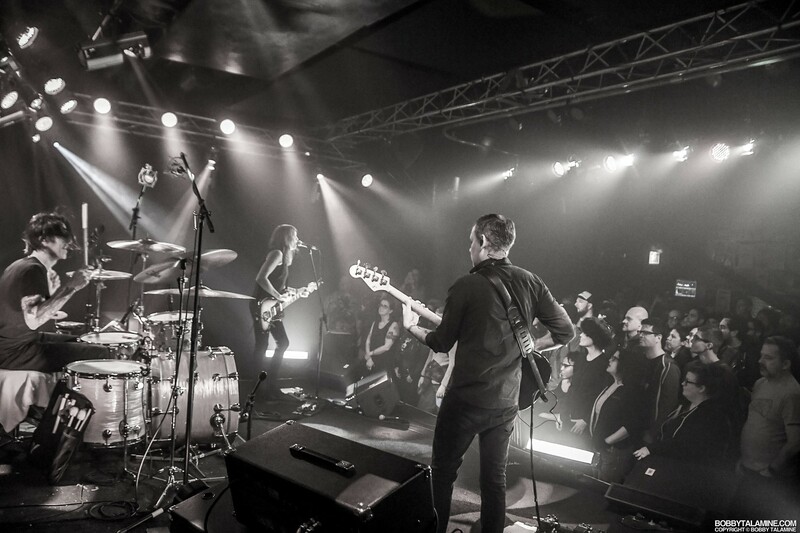 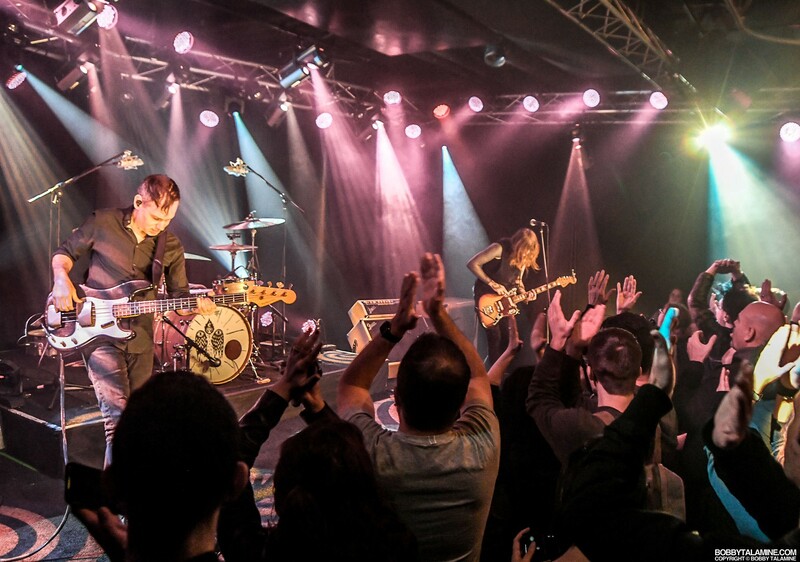 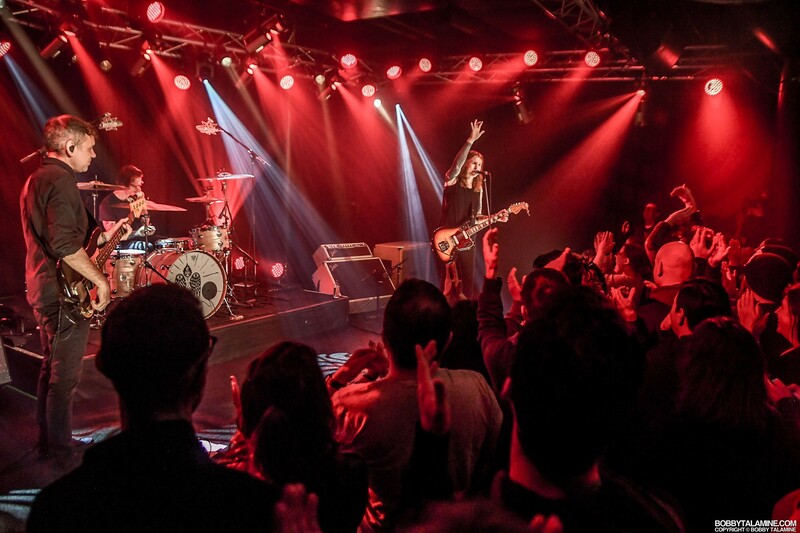 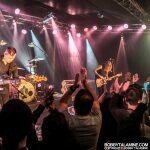 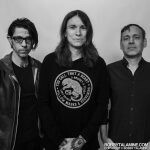 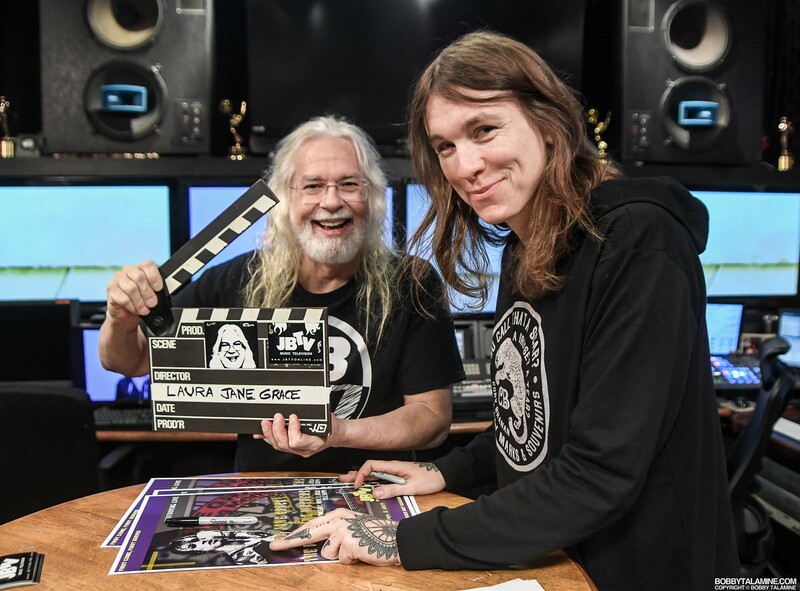 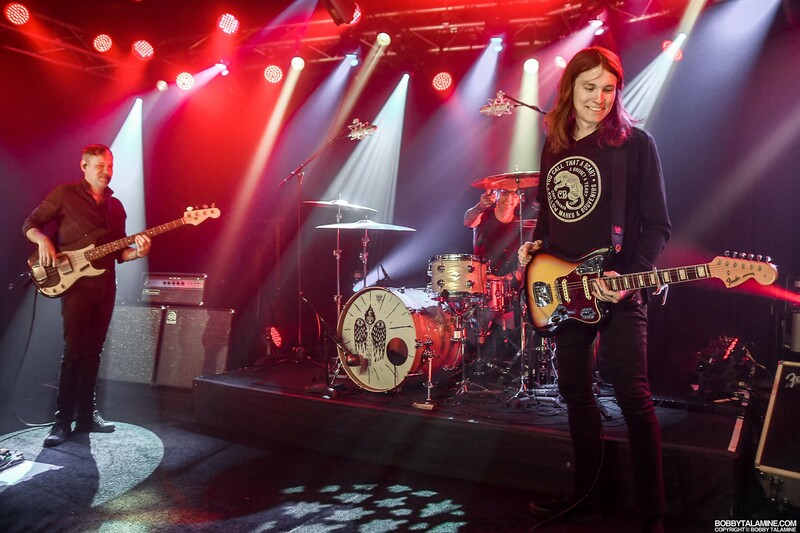 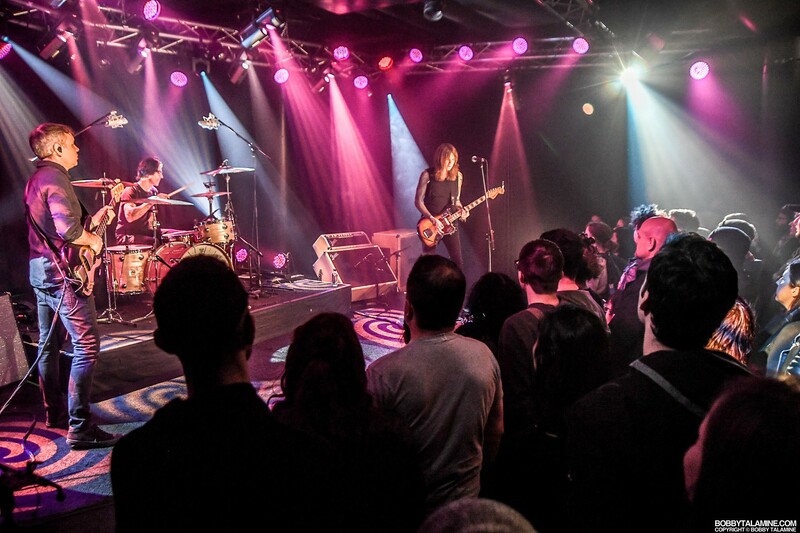 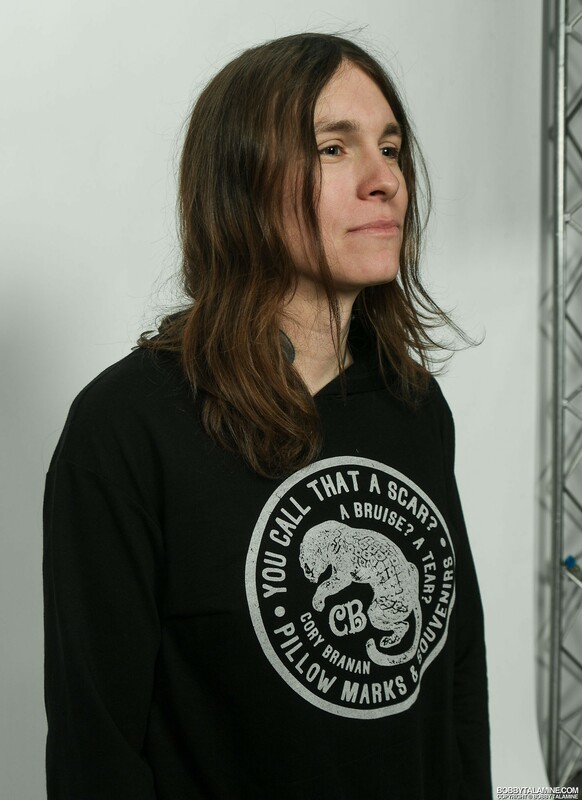 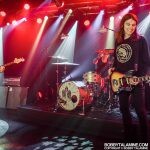 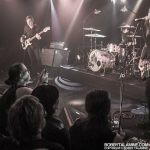 Laura Jane Grace and her band The Devouring Mothers come to our intimate and cozy studio at JBTV Music Television in Chicago. 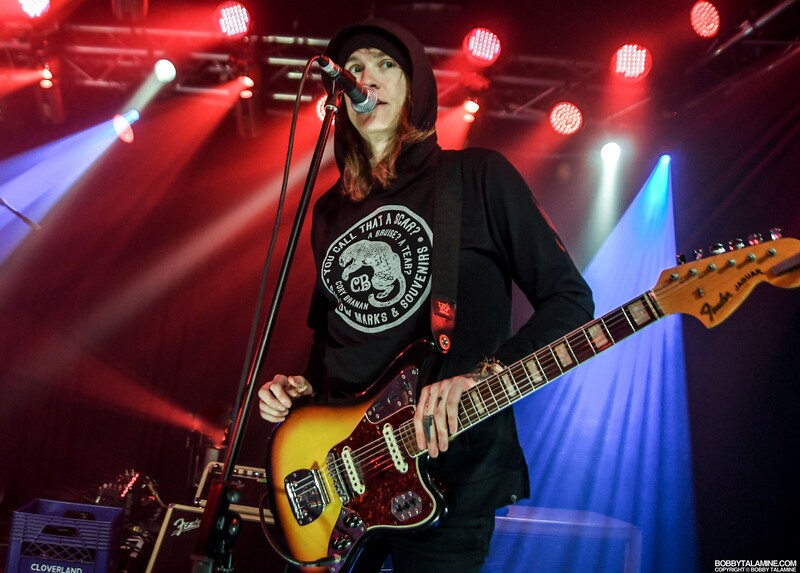 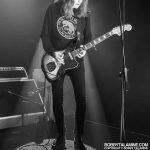 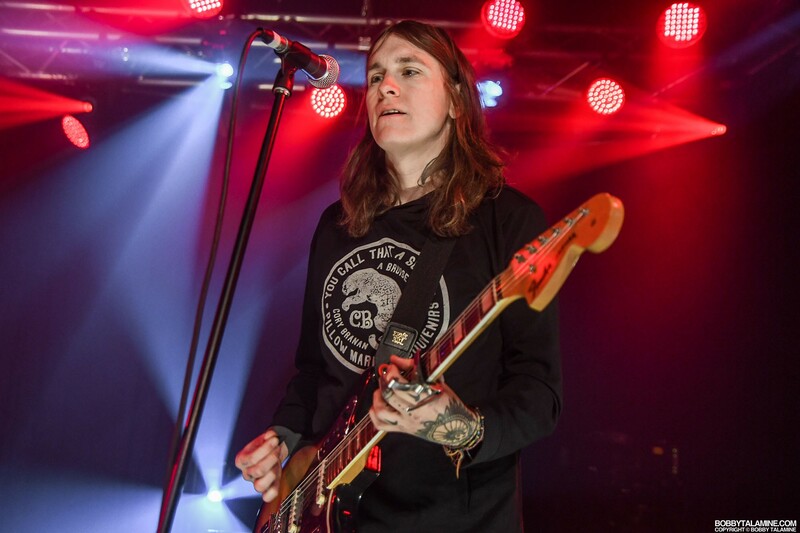 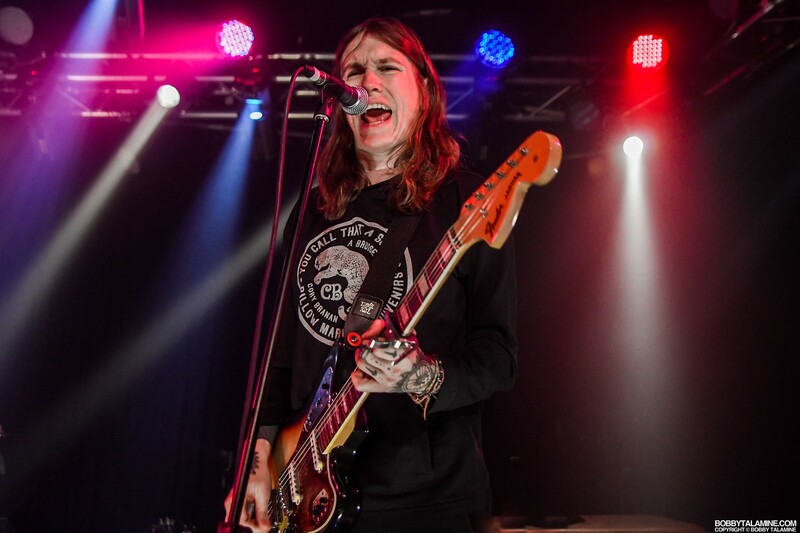 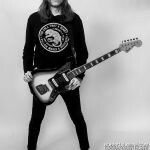 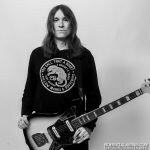 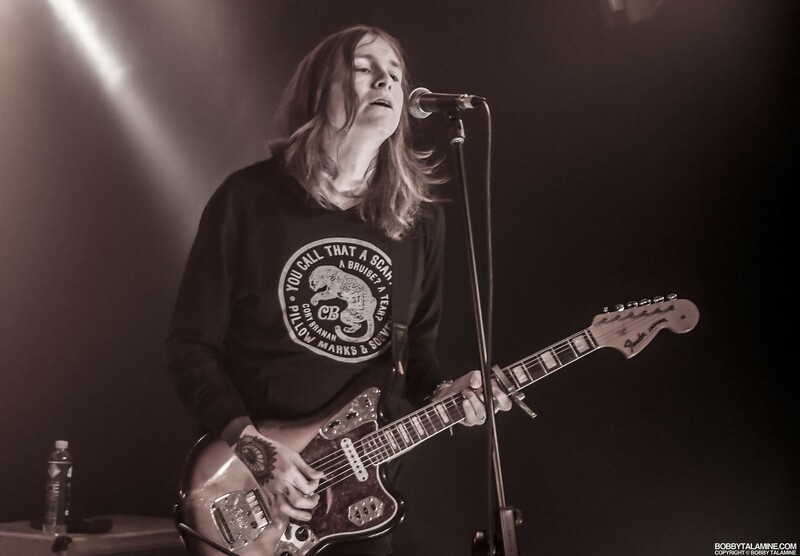 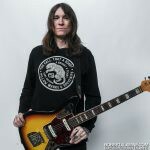 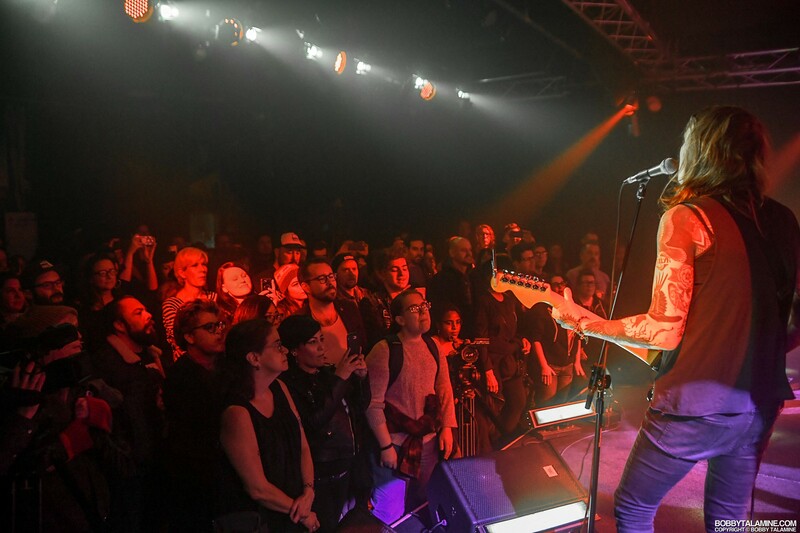 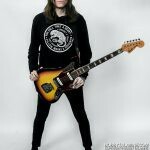 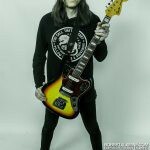 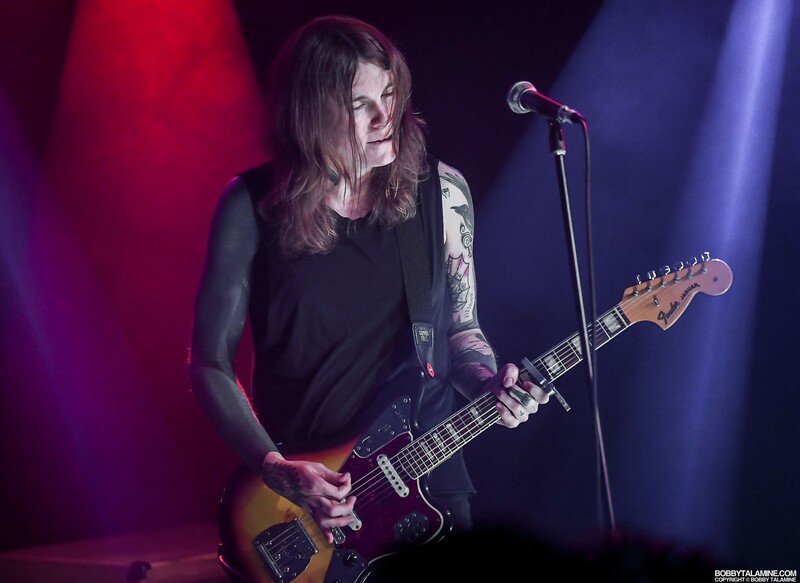 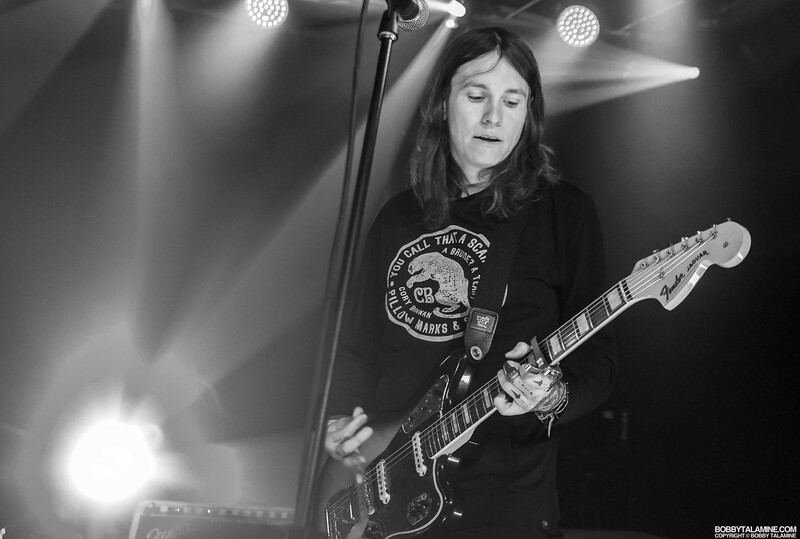 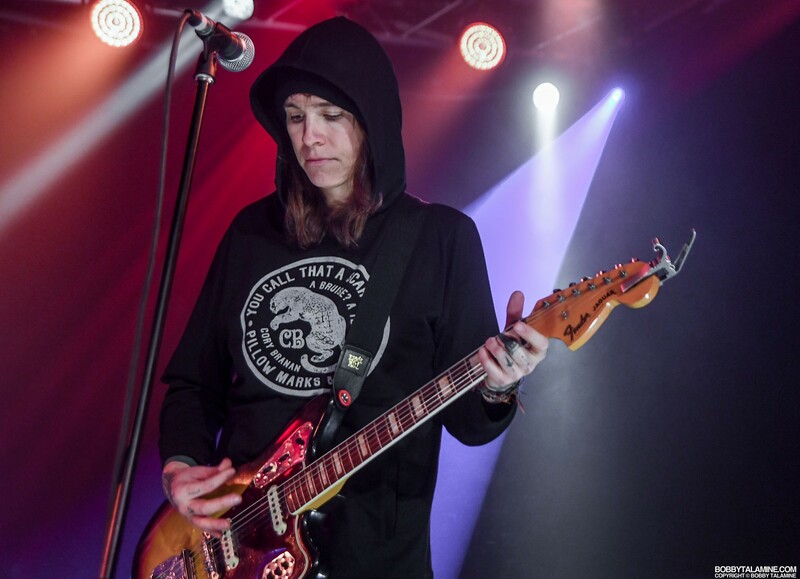 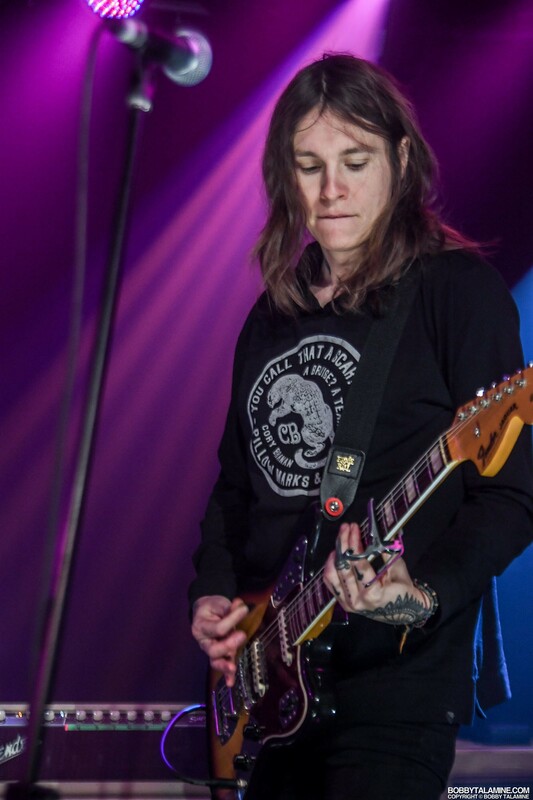 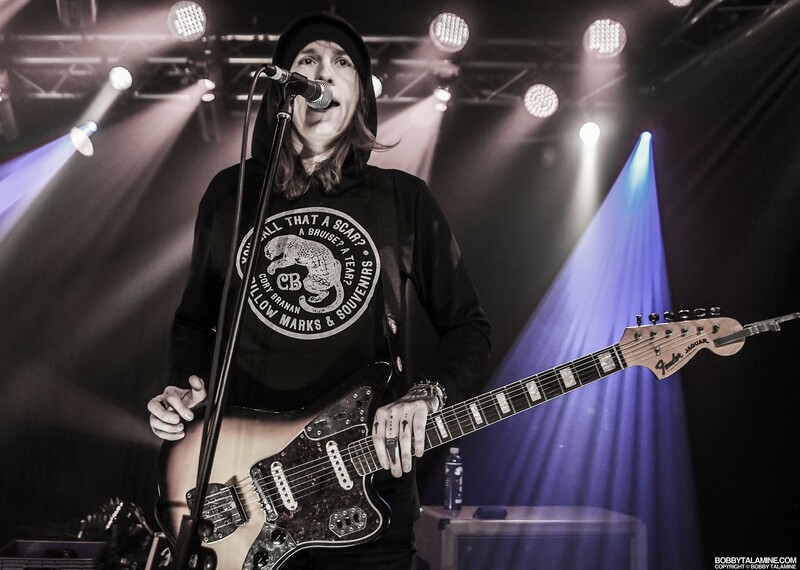 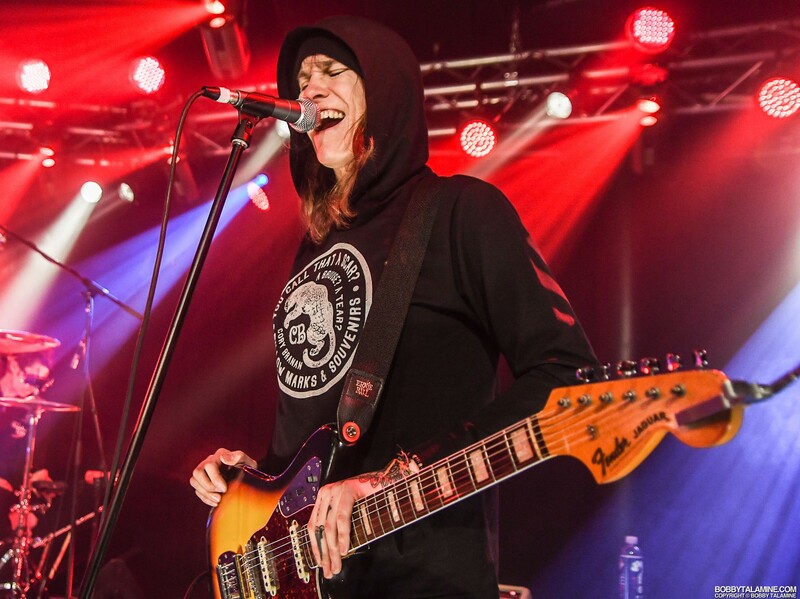 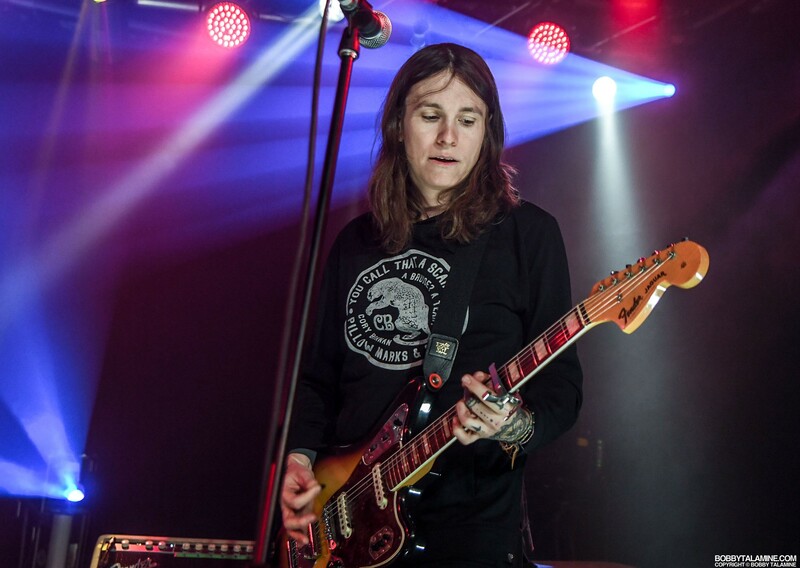 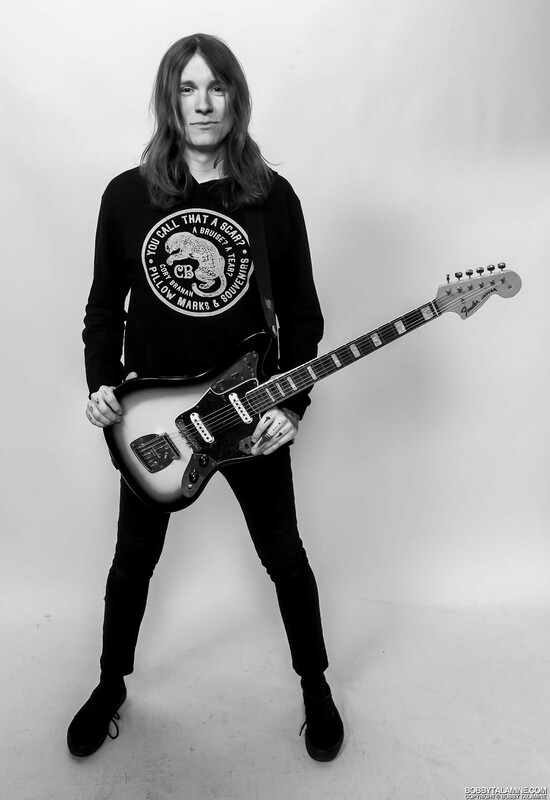 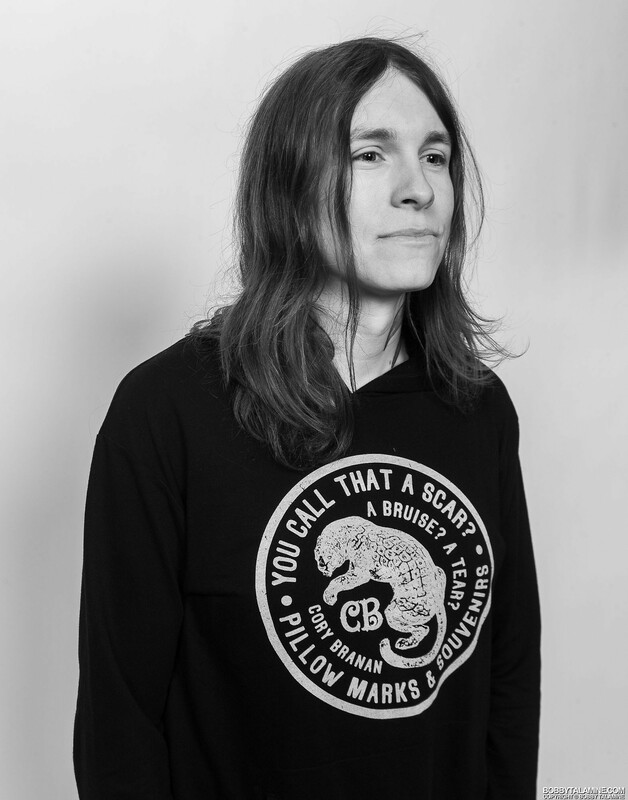 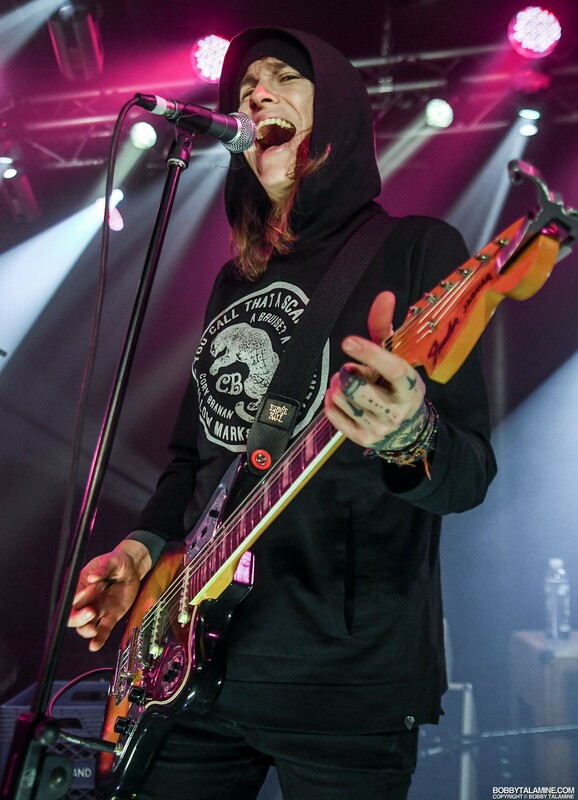 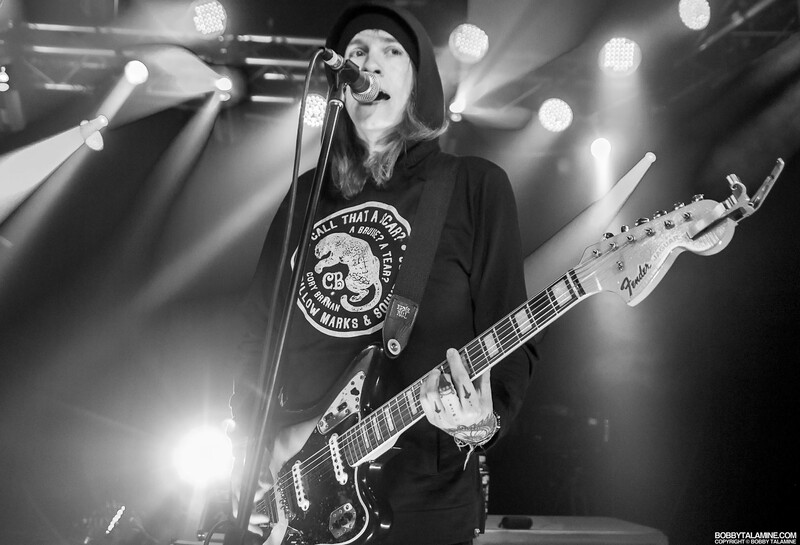 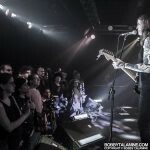 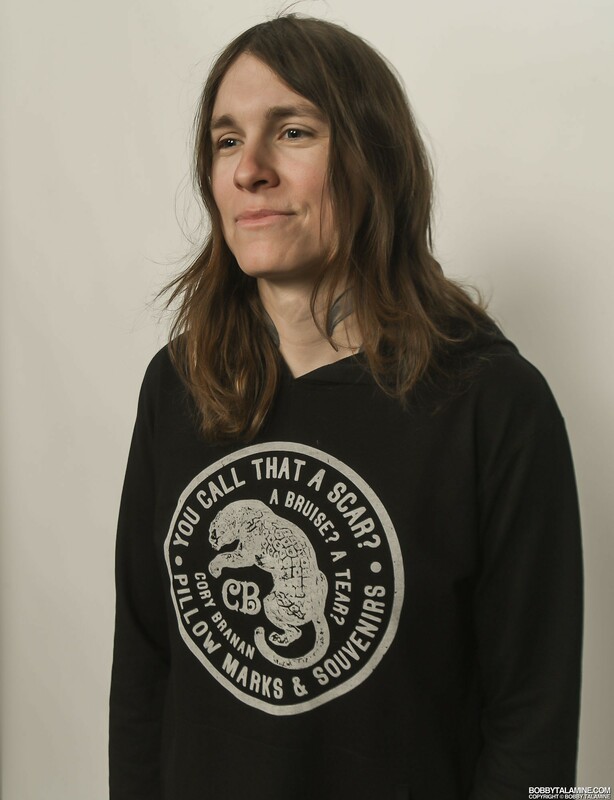 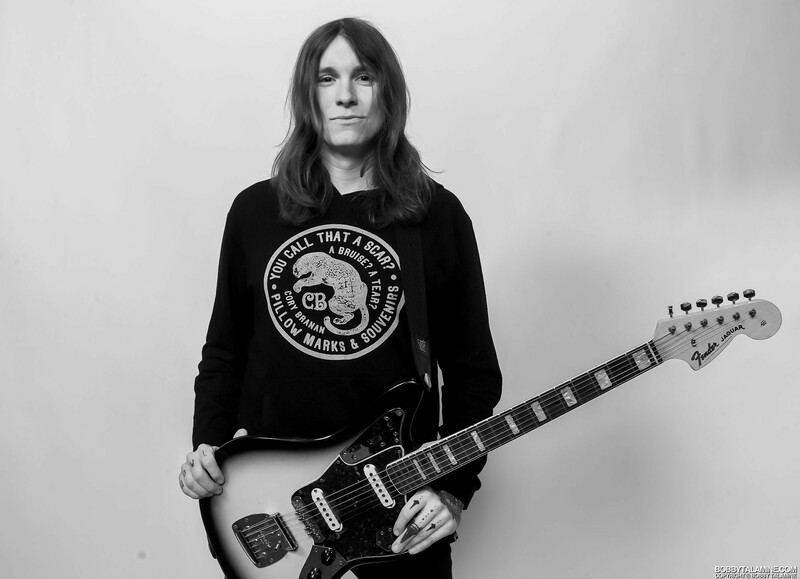 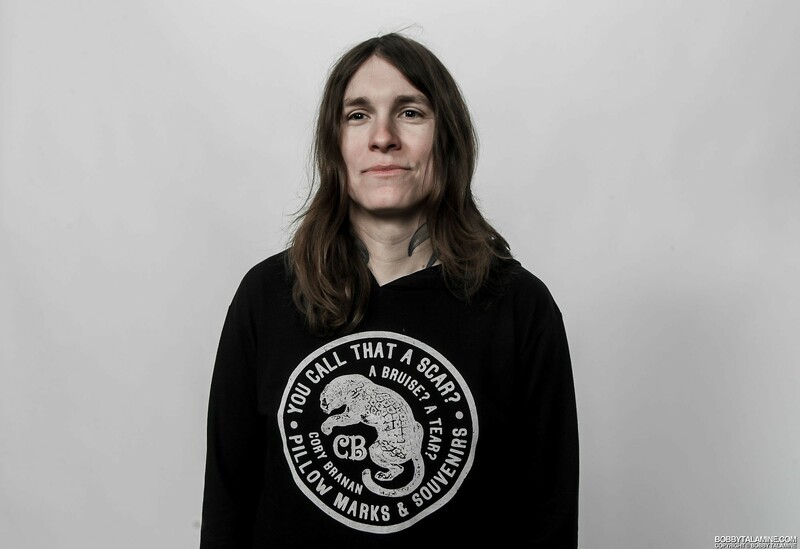 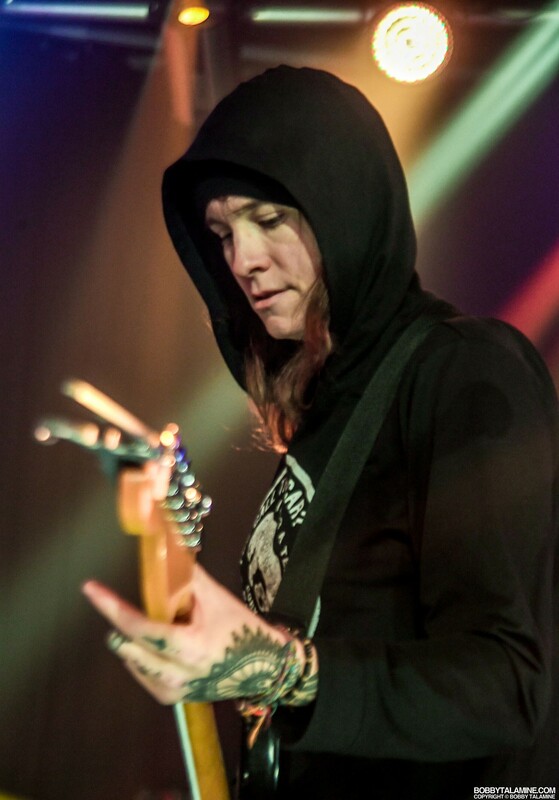 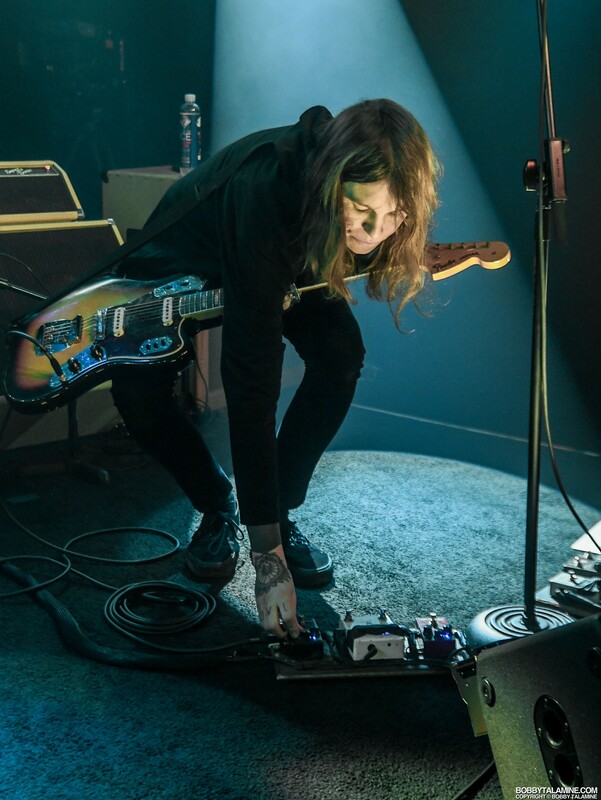 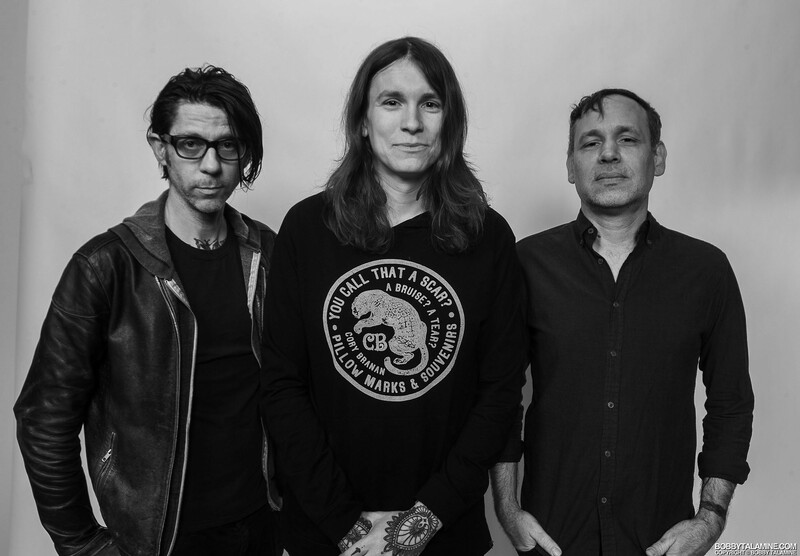 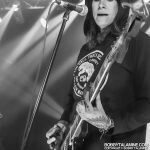 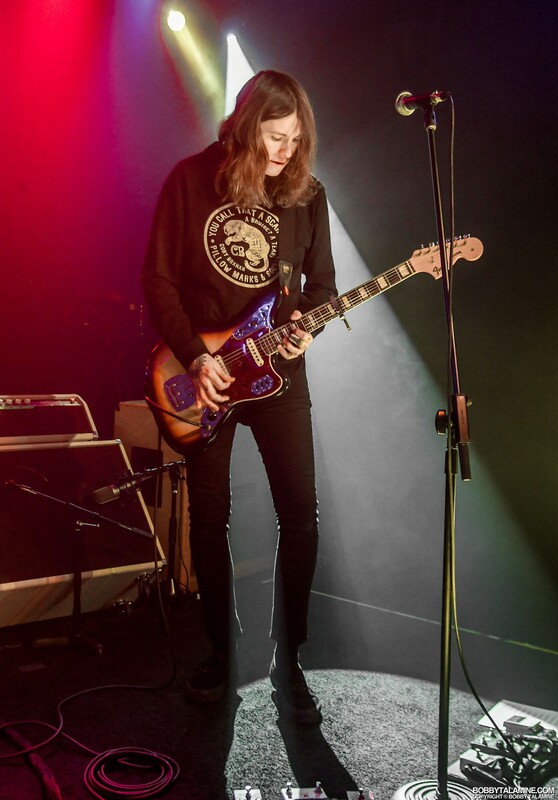 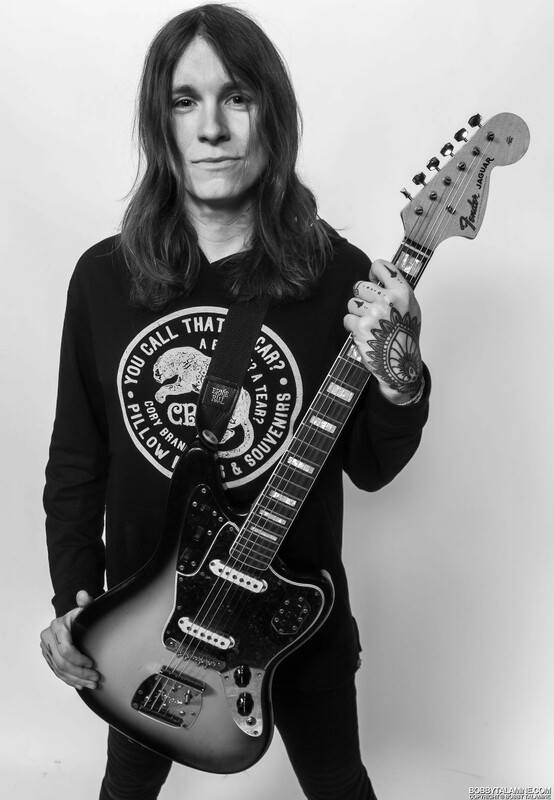 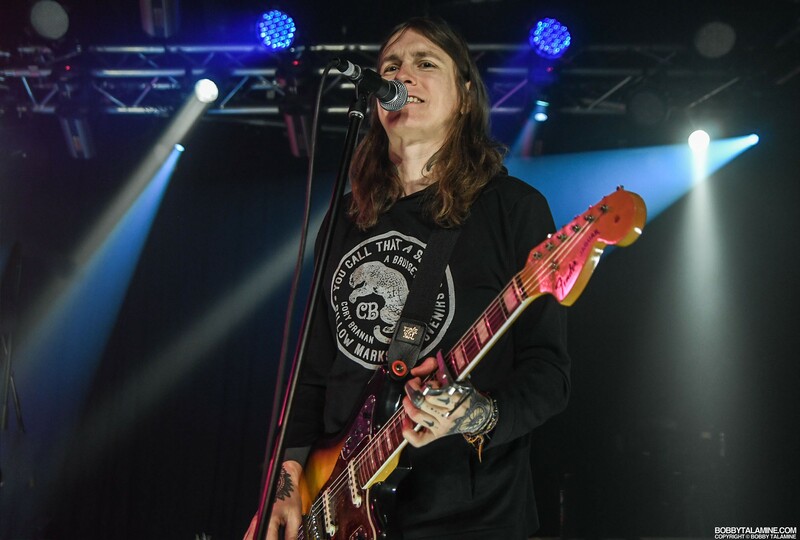 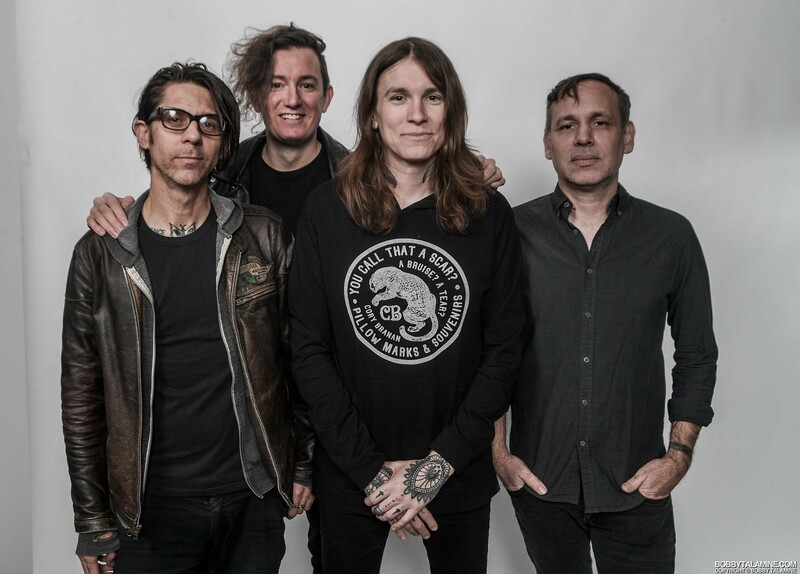 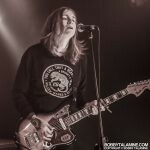 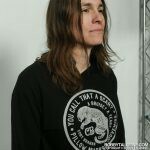 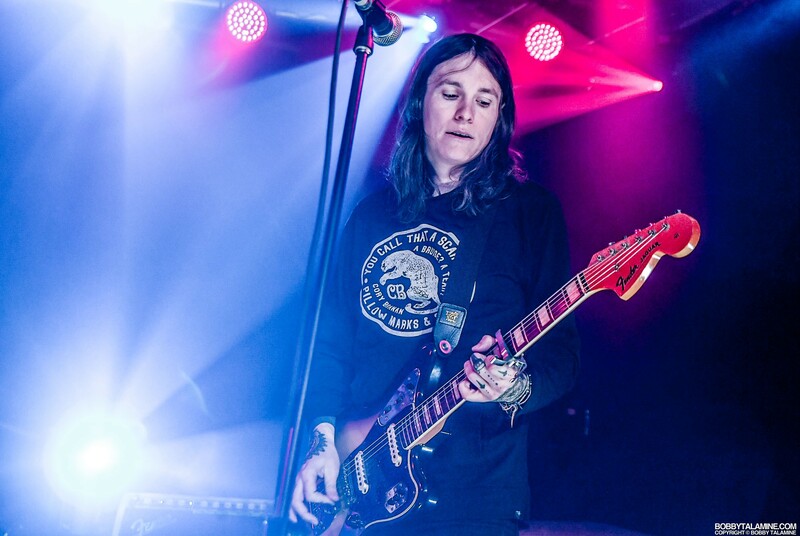 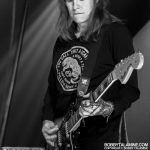 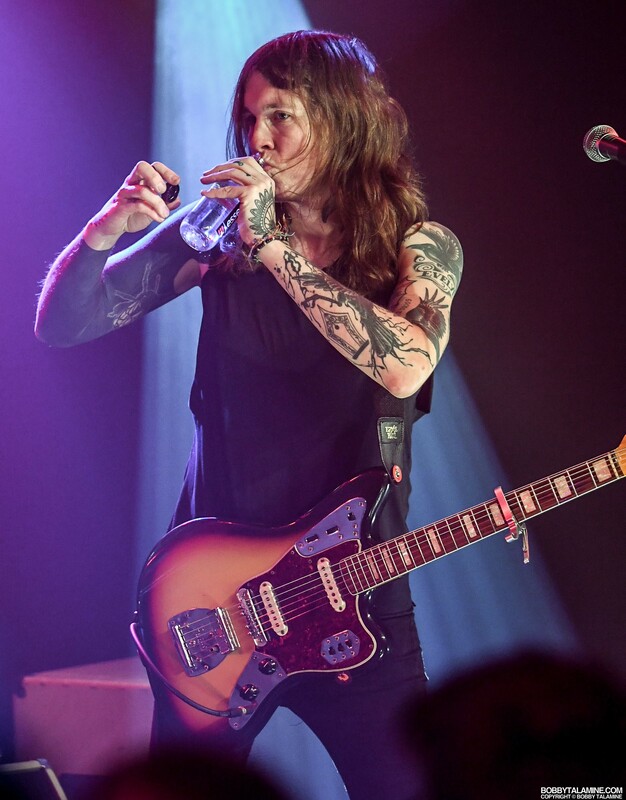 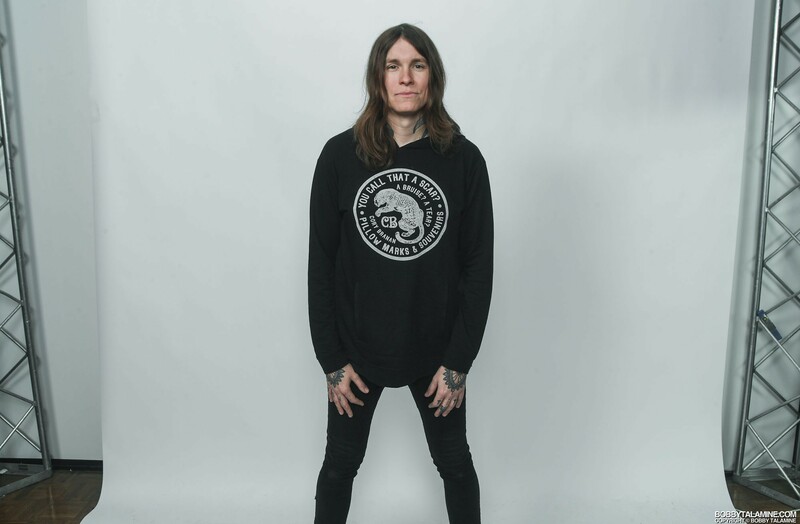 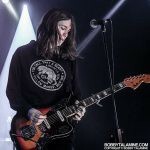 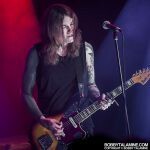 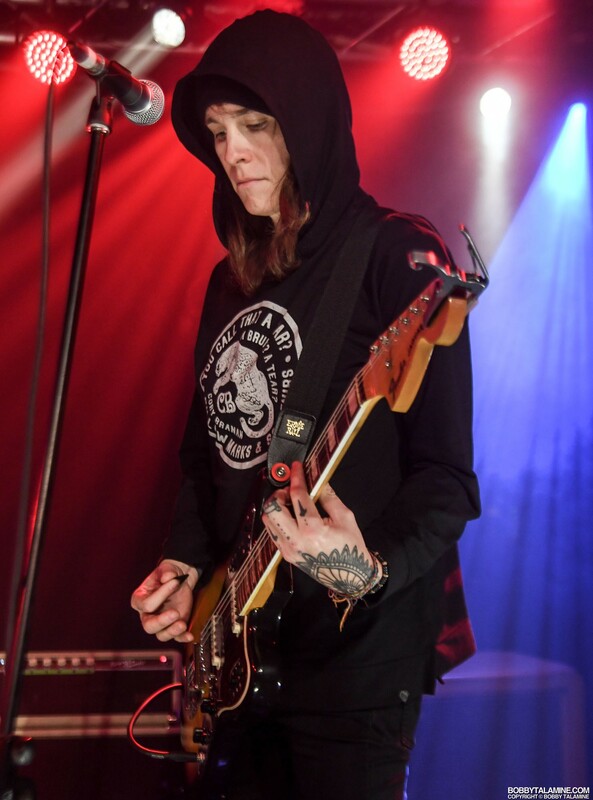 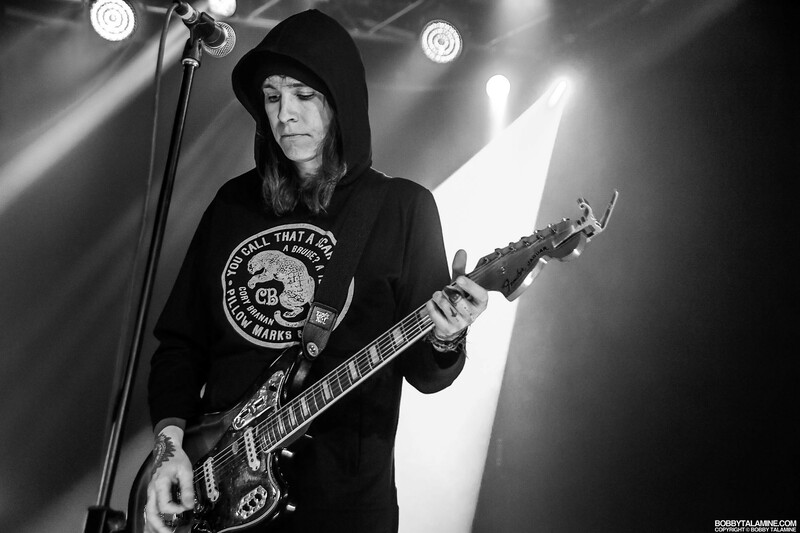 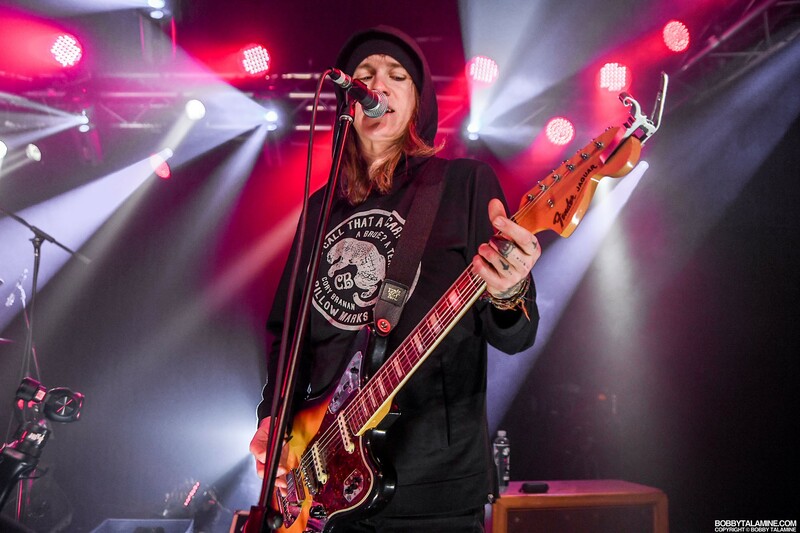 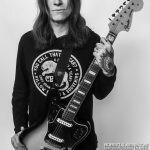 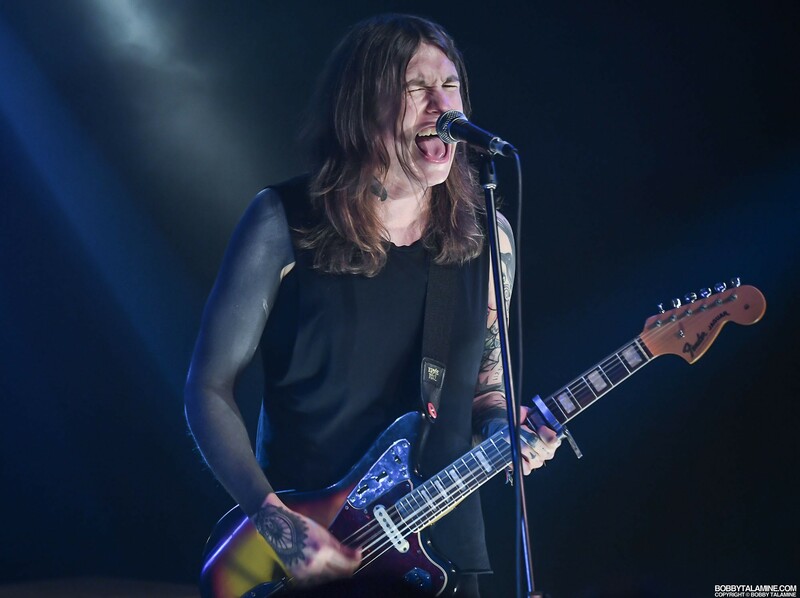 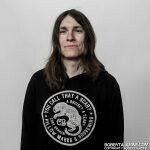 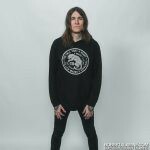 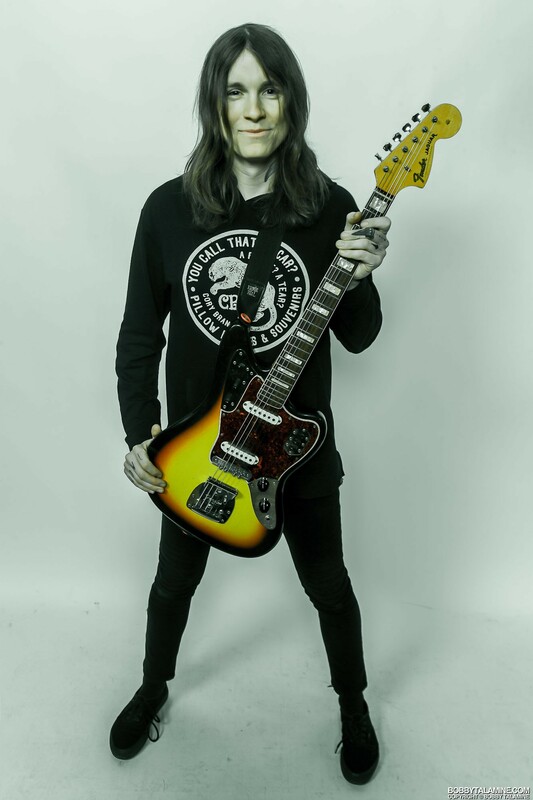 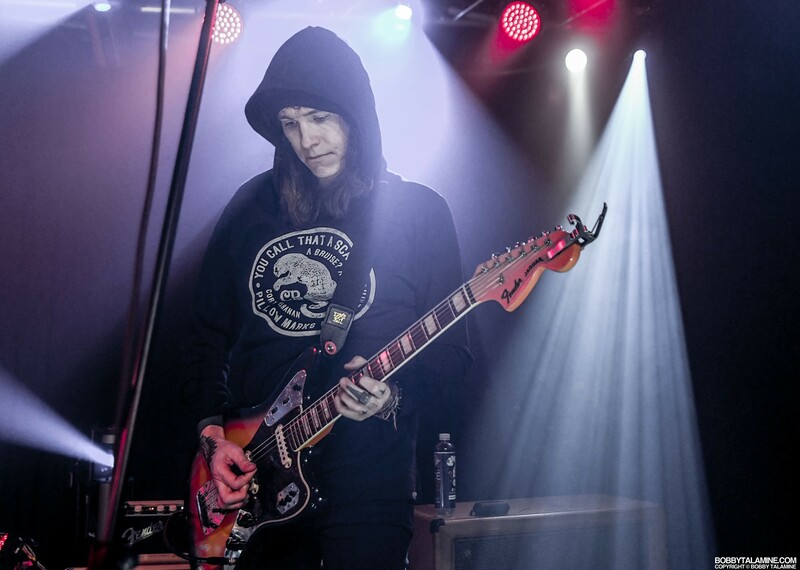 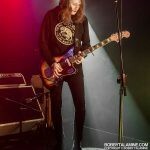 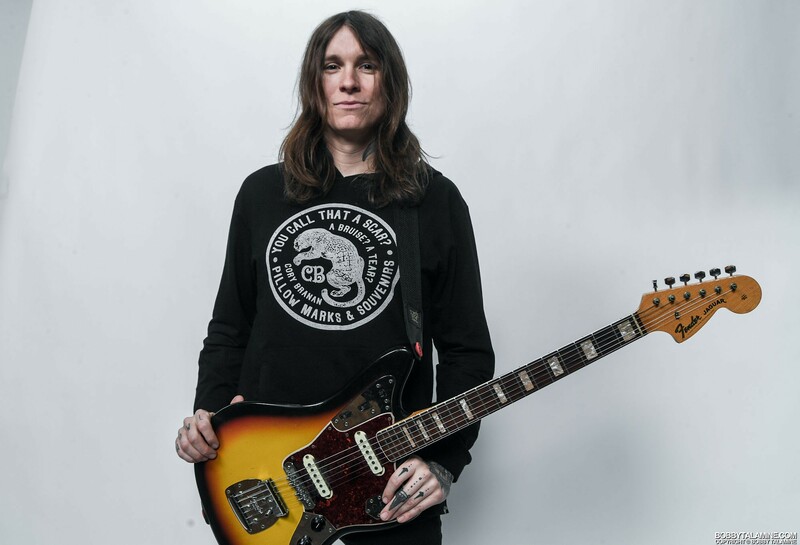 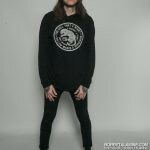 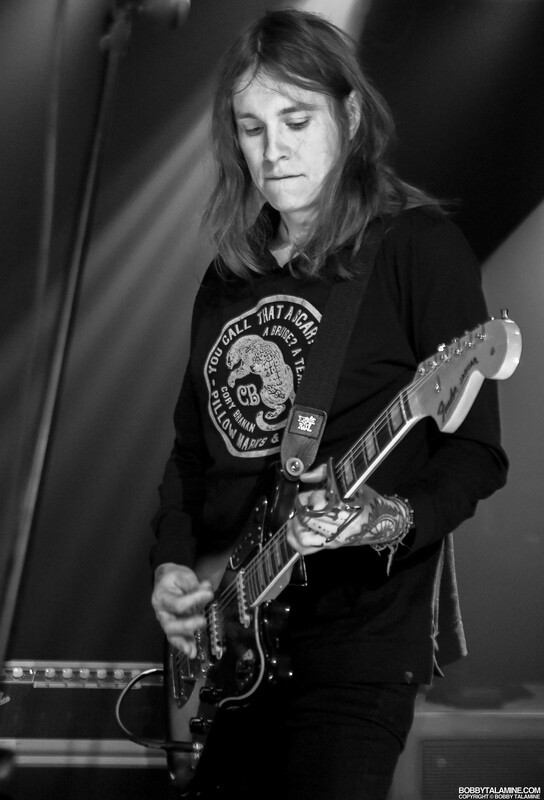 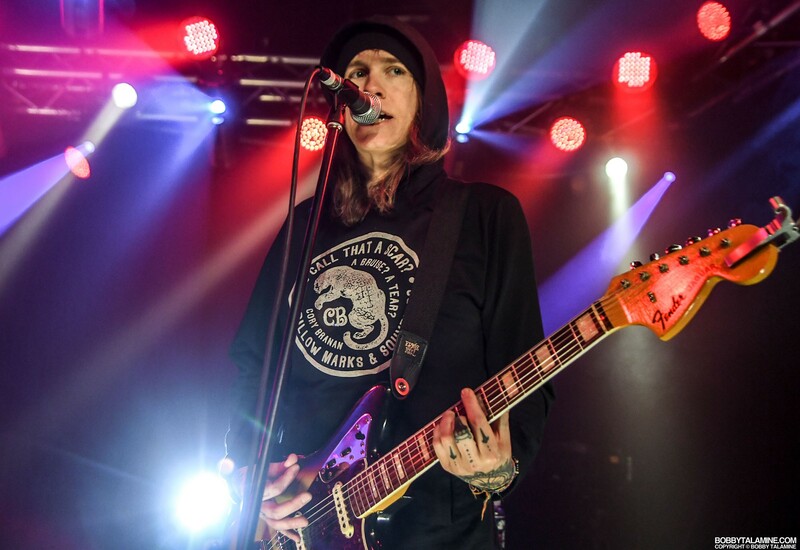 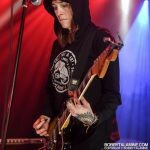 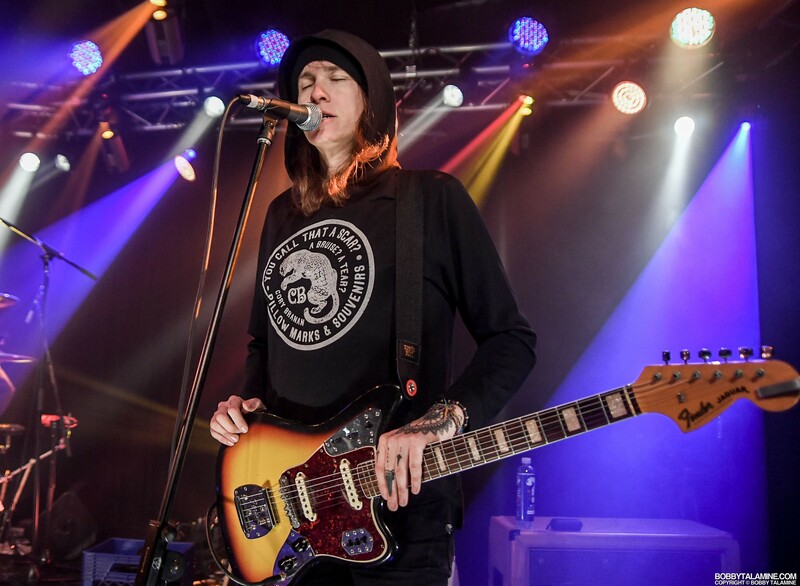 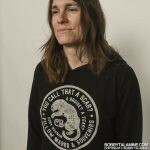 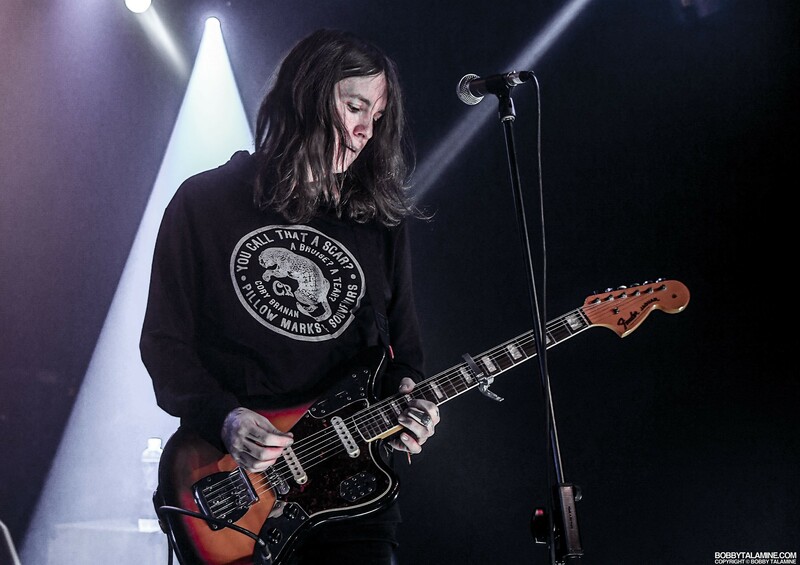 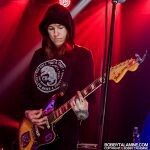 The connection to Tom Petty is undeniable: The new album from Laura Jane Grace & The Devouring Mothers titled “Bought to Rot” on Chicago’s Bloodshot Records, highlights a special guitar that Laura bought from Stan Lynch, the drummer from The Heartbreakers. 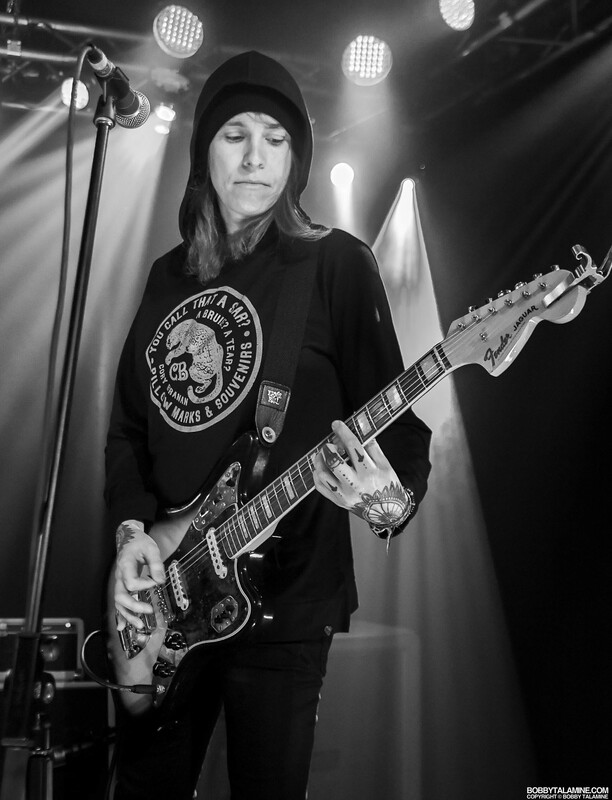 The guitar in question- an old Fender Jaguar that Laura usually doesn’t play. 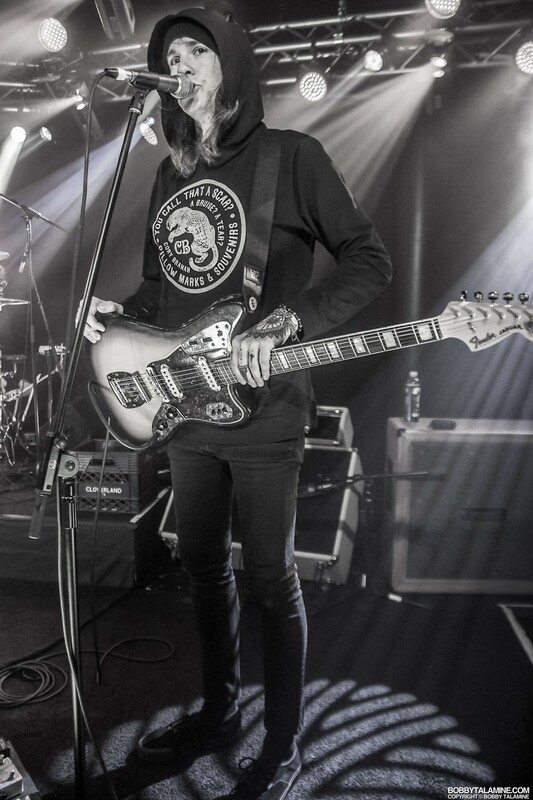 Virtually not played at all, as Laura says. 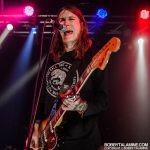 I found out about this unique story from Greg Kot, rock critic for the Chicago Tribune, who wrote about Laura Jane Grace & The Devouring Mothers in his “Turn it Up” column a couple weeks ago. 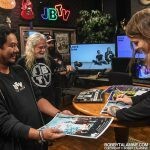 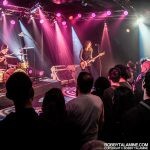 So not only am I stoked to be photographing Laura and her bandmates at JBTV, I had to find out if Laura was actually going to be playing the guitar when performing live. 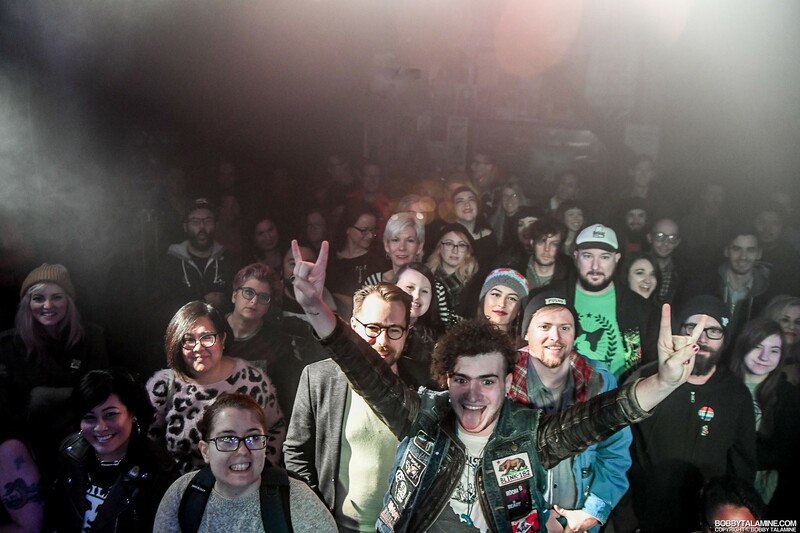 And the answer was yes, much to me delight. 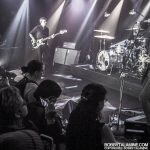 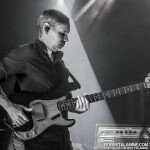 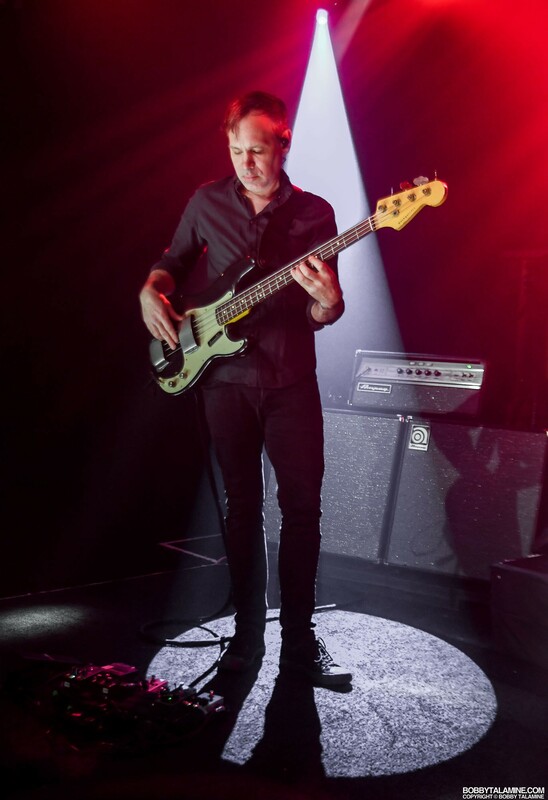 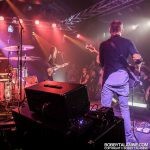 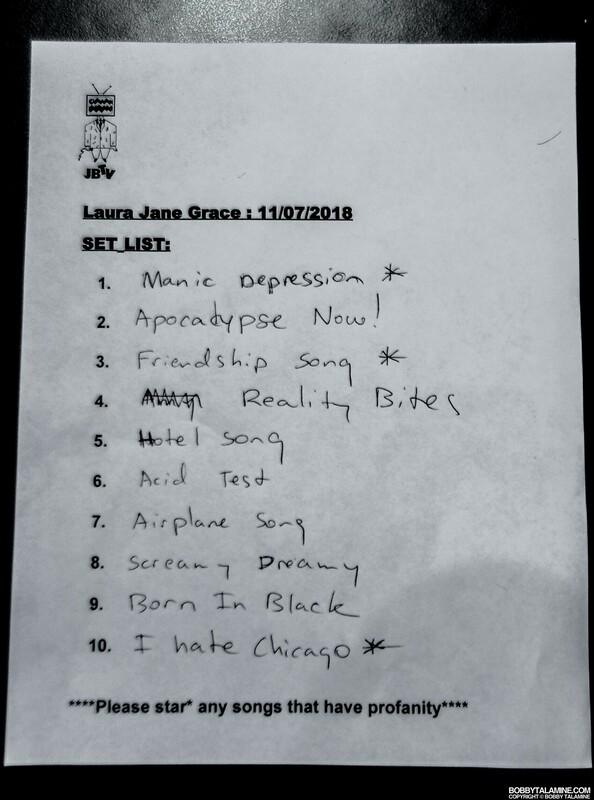 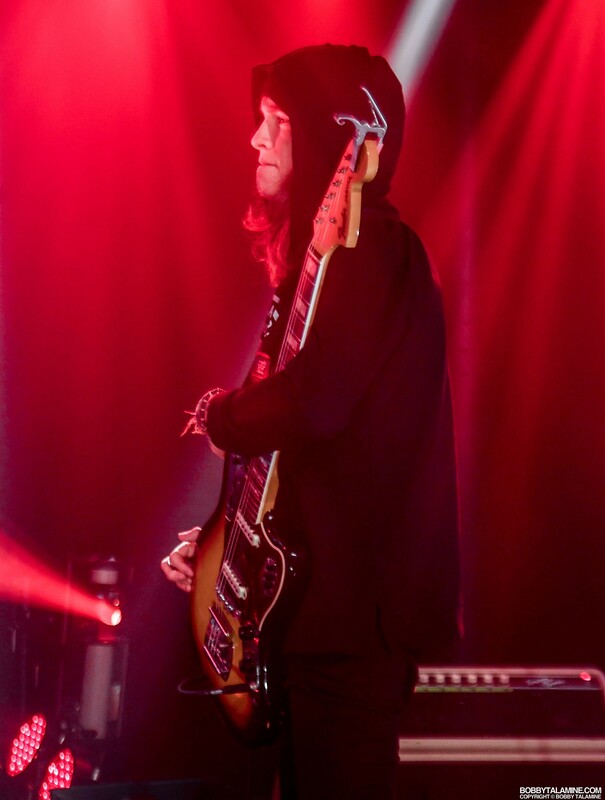 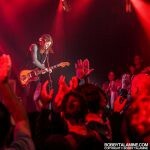 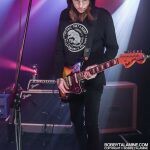 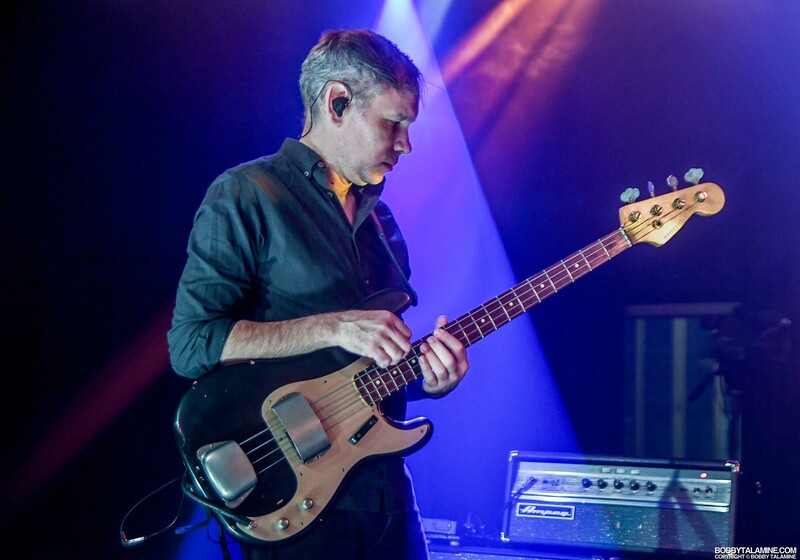 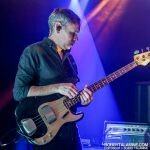 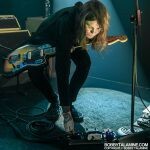 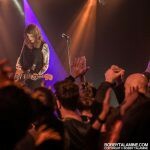 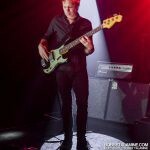 So in these photos for this post with The Devouring Mothers, you’ll see pose shots with Laura and said Jaguar guitar, and also live shots both from soundcheck and the actual performance. 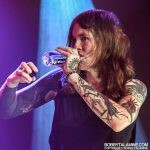 And what a performance it was, like a full set, I think around 10 songs or so in total. 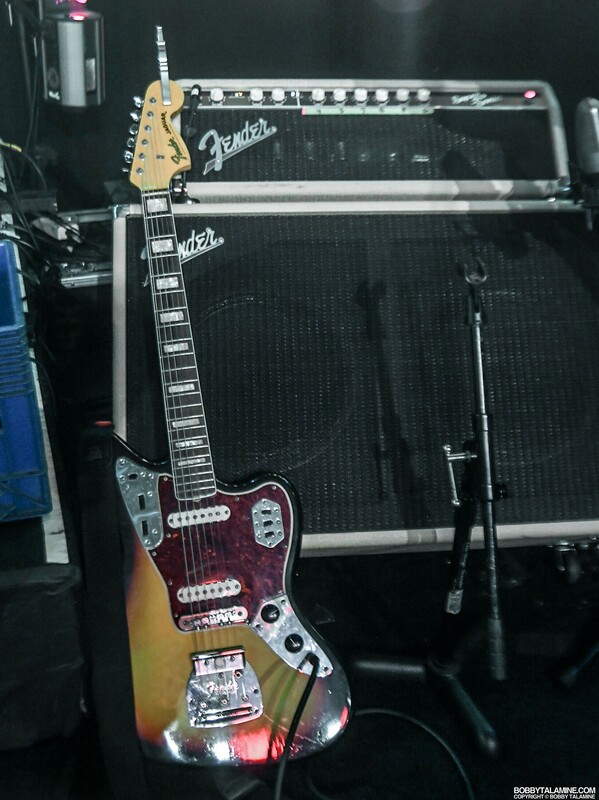 So as the story goes, Grace built up a story in her head around around this Jaguar Fender guitar. 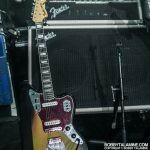 It was in pristine condition when she bought it, and it had been resting untouched, not played and in its case for years and years. 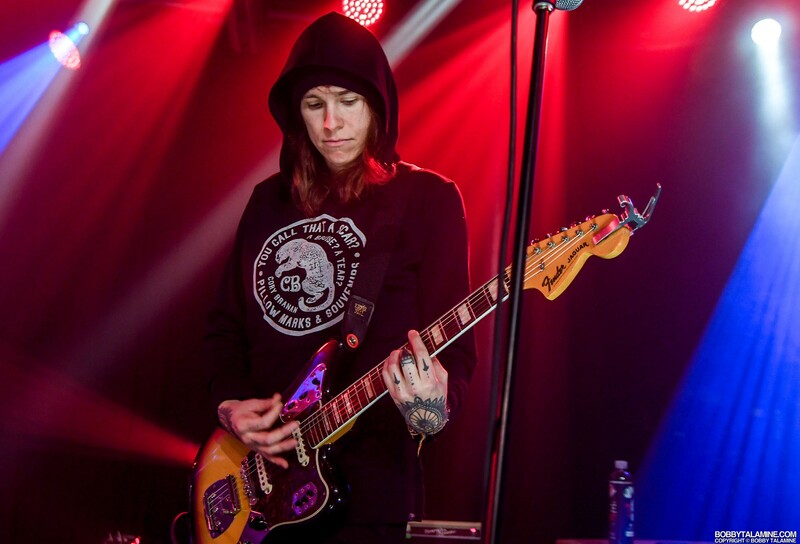 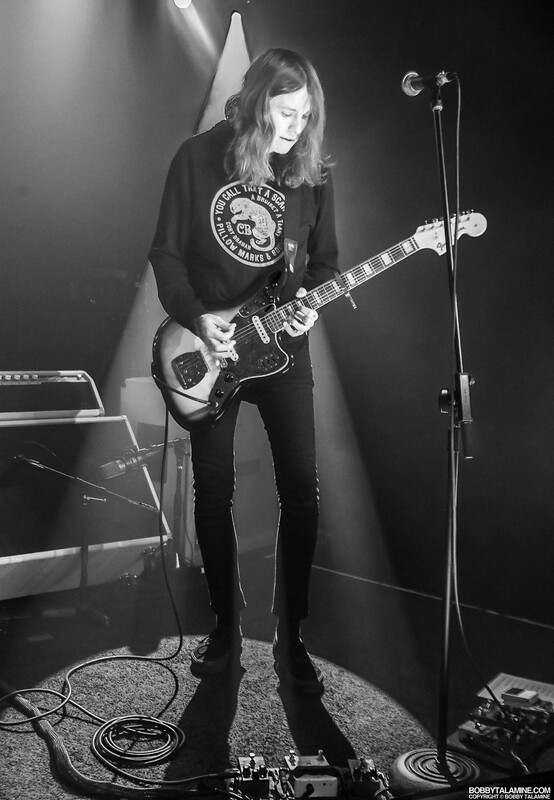 Laura Jane Grace had it in her head that this amazing guitar was in a studio, surrounded by The Heartbreakers as they were making their iconic records, and because it was a drummer’s guitar, no one ever used it. 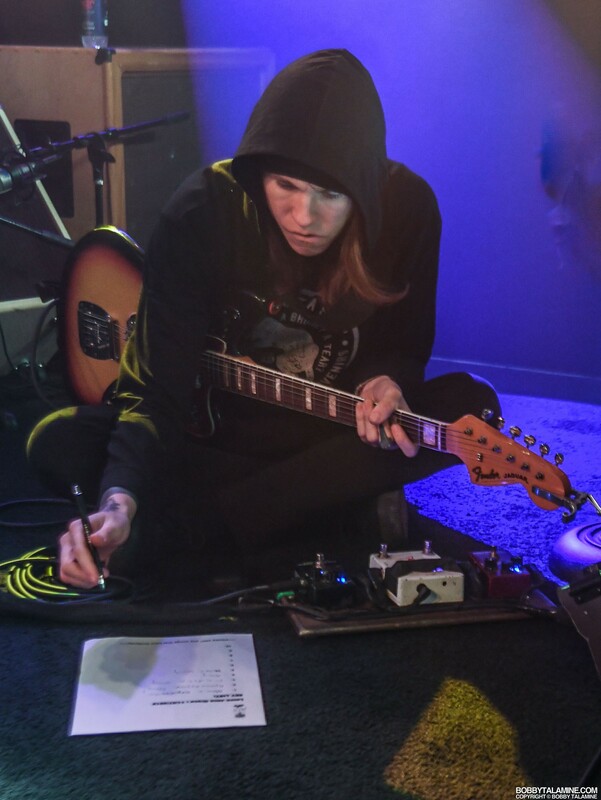 It was as if this unique guitar was sitting there saying “Hey guys, play me. 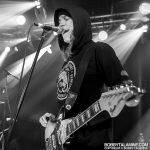 Put me on a record”. 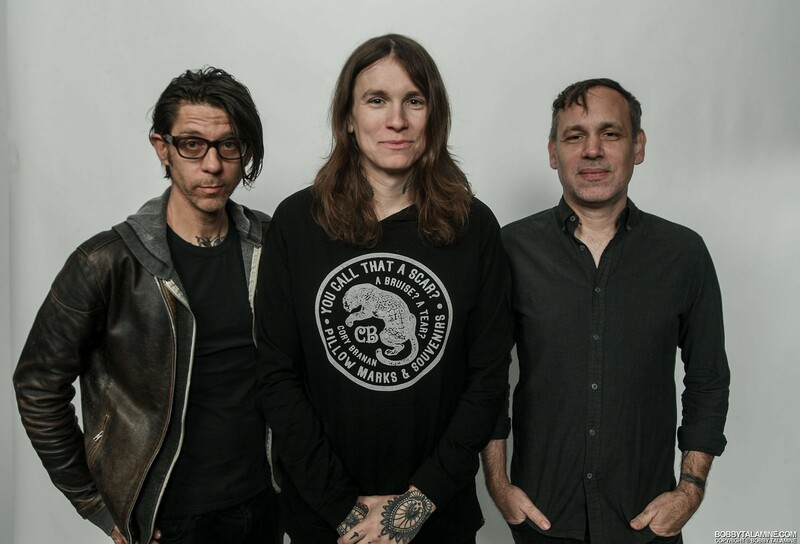 And that record would be Laura Jane Grace & The Devouring Mothers and there newest release “Bought to Rot”. 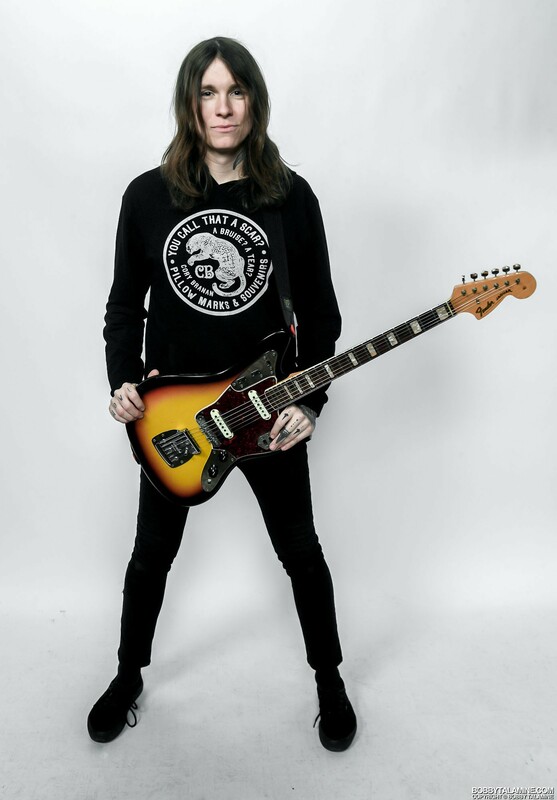 This was the guitar that Laura would play on the entire album, with an amp also bought from Stan Lynch. 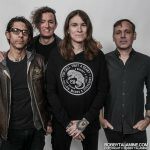 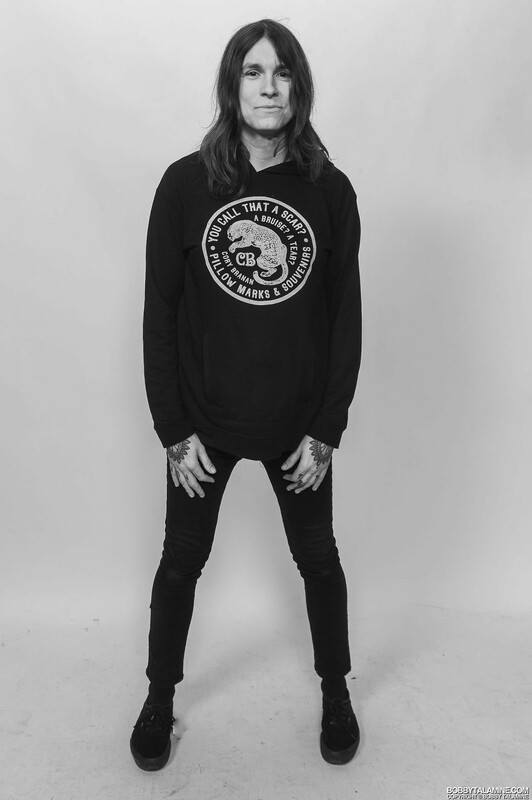 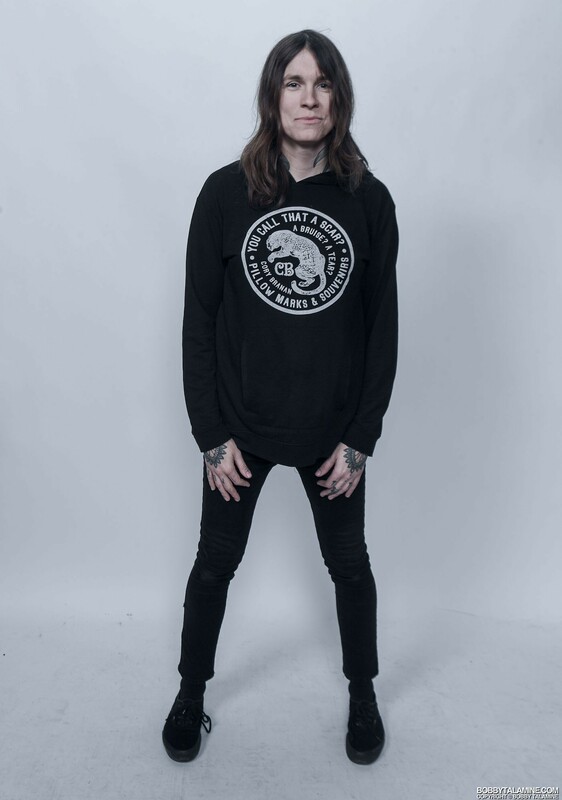 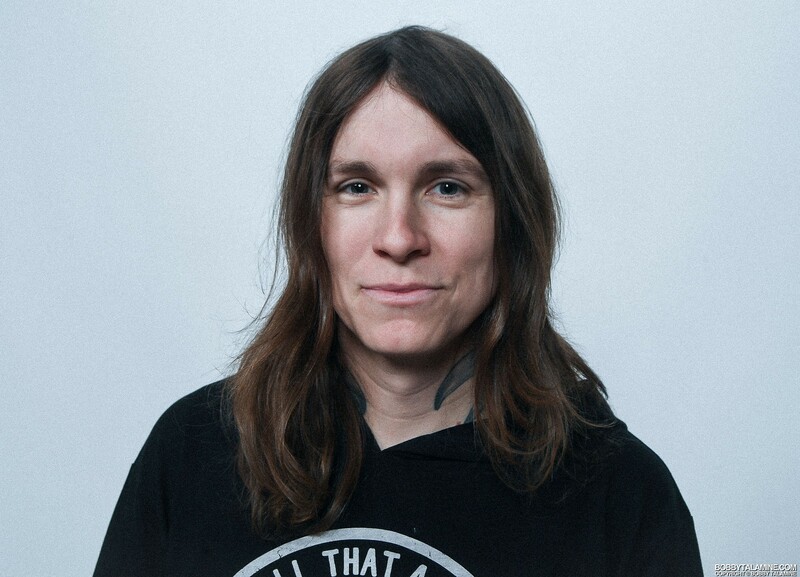 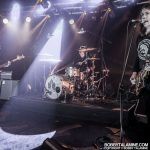 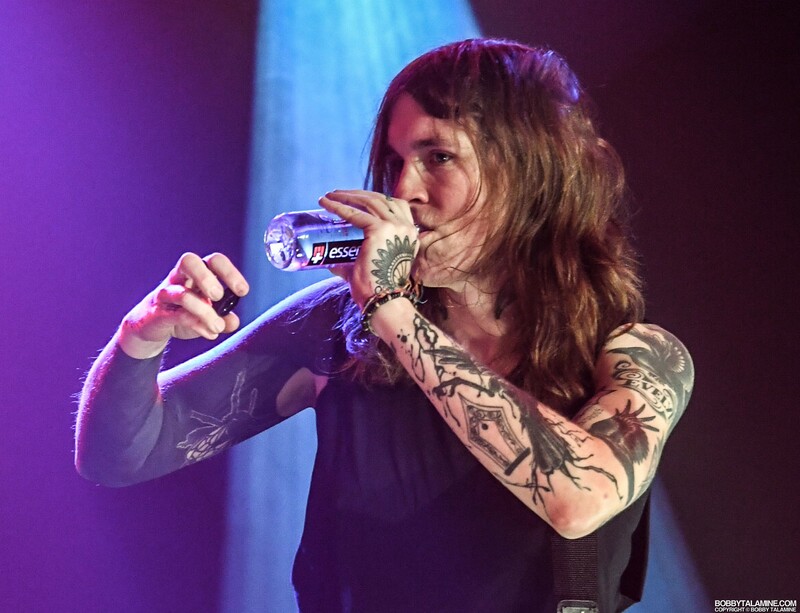 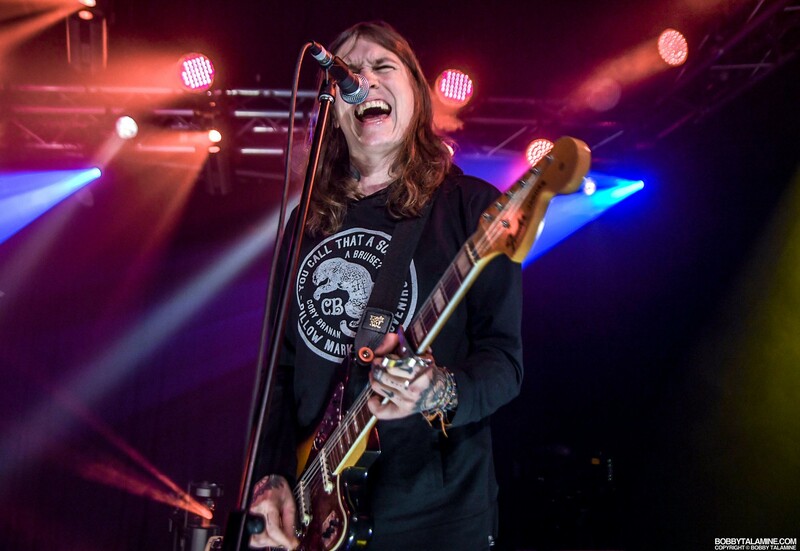 Laura Jane Grace is clearly a musician who takes chances, evident in her main band Against Me!, and also on The Devouring Mothers. 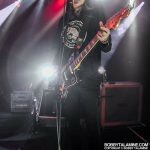 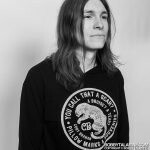 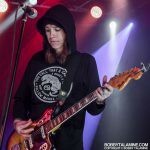 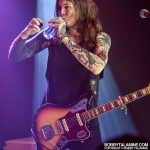 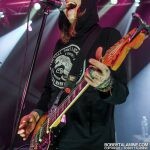 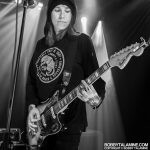 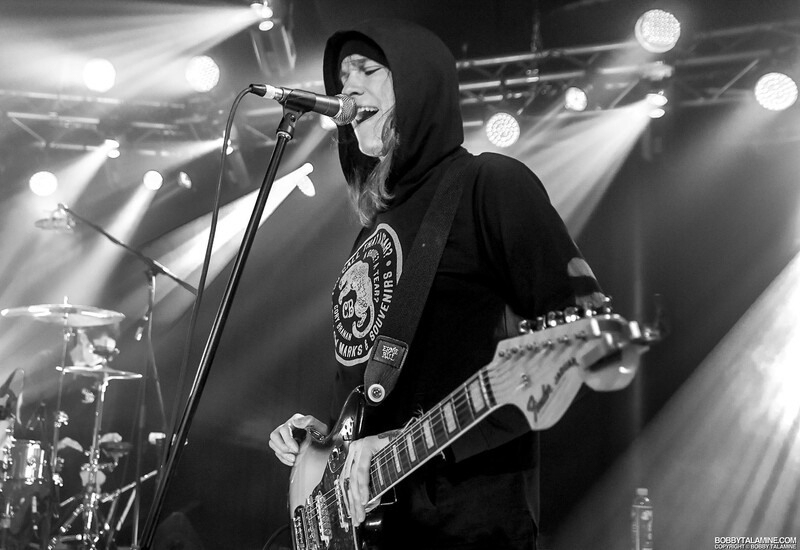 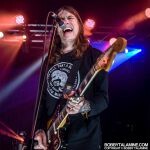 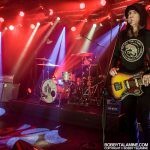 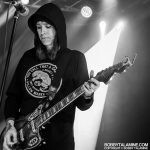 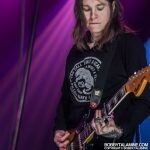 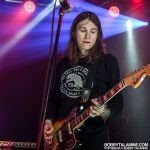 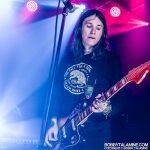 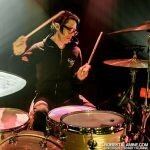 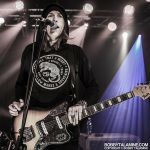 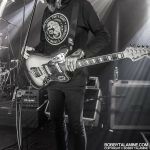 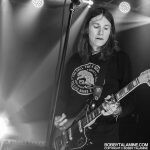 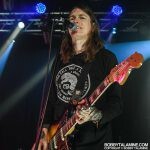 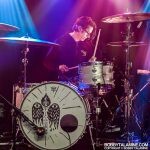 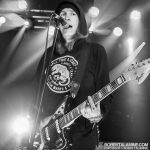 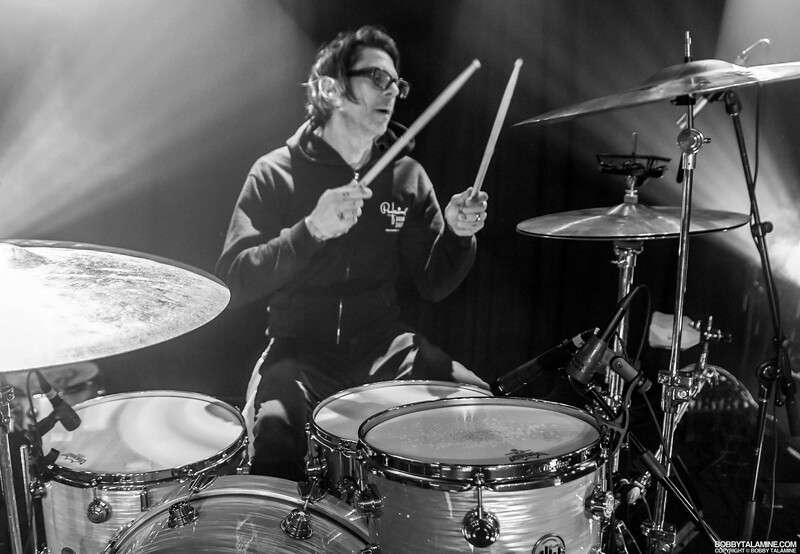 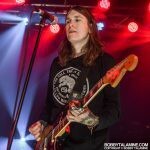 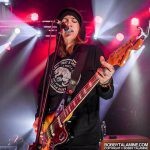 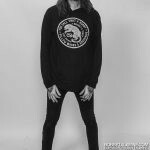 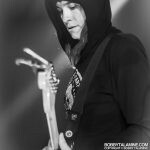 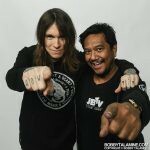 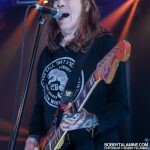 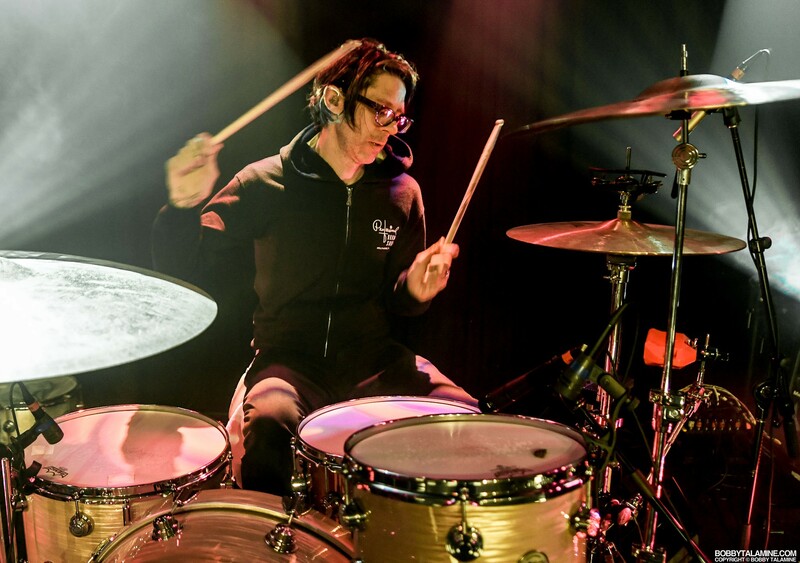 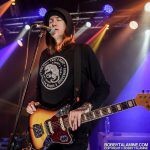 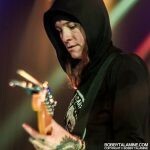 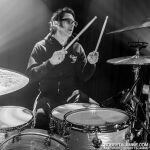 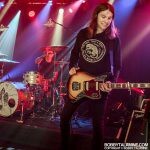 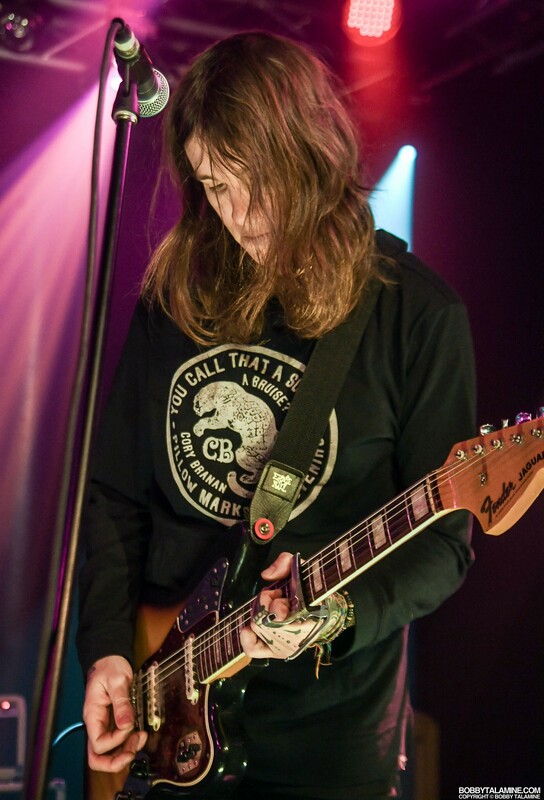 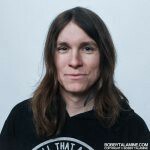 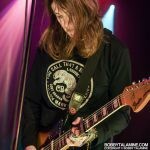 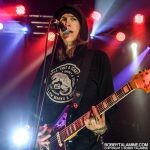 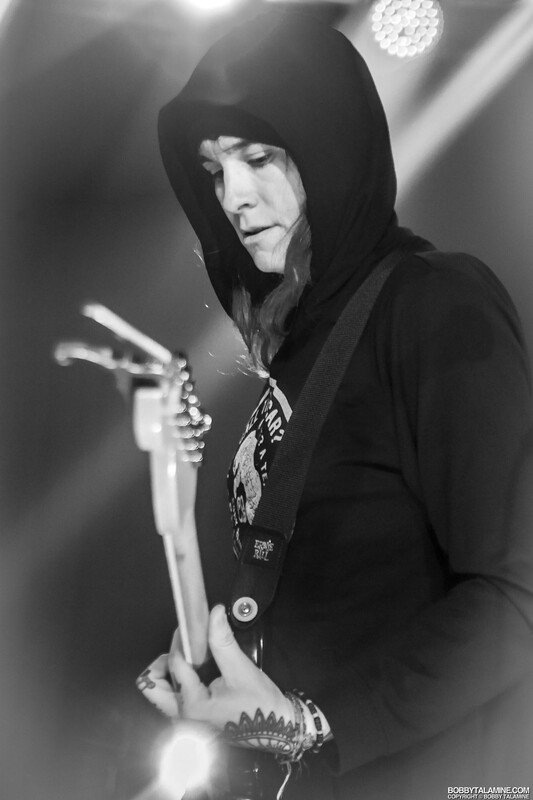 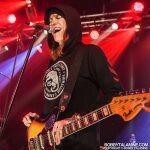 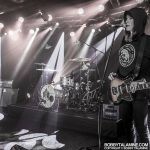 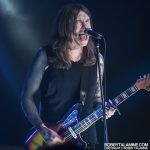 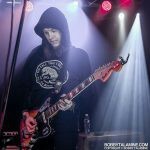 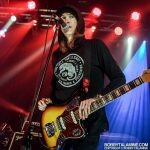 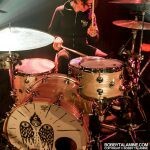 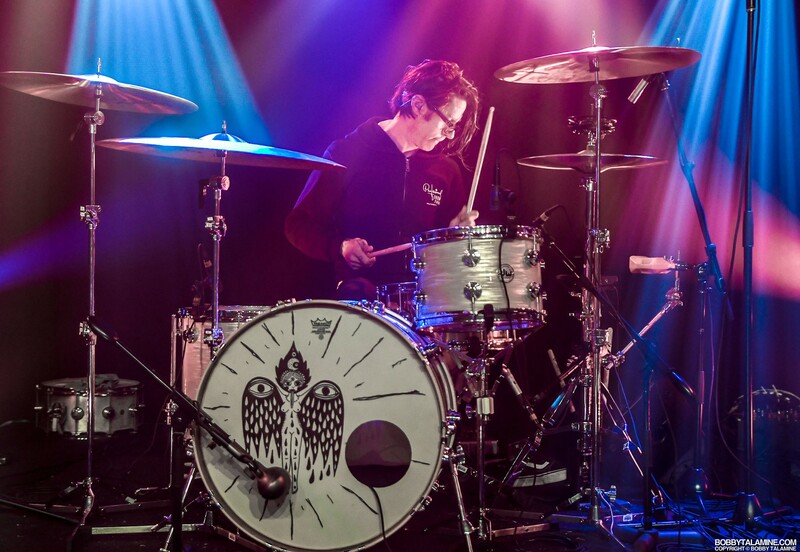 Laura is joined on the new album by longtime Against Me! 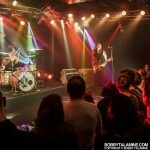 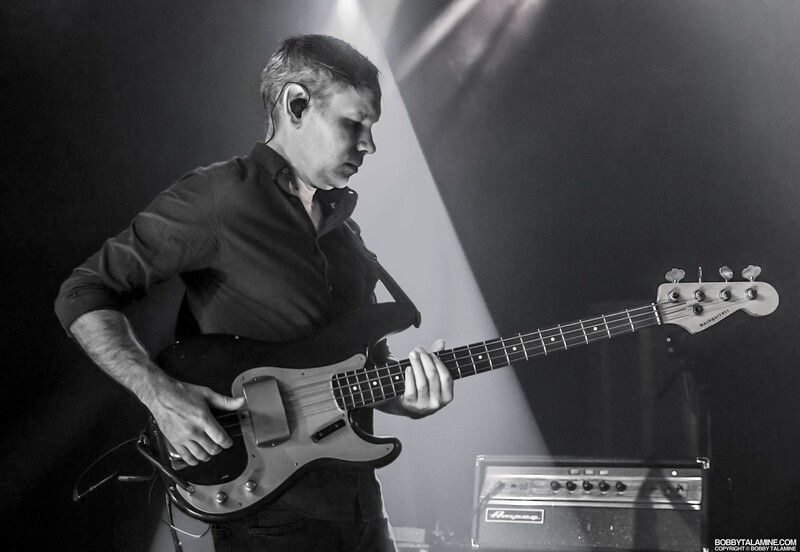 drummer Atom Willard, and Marc Jacob Hudson on bass, who also is in Against Me! 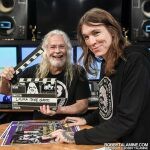 as a sound engineer. 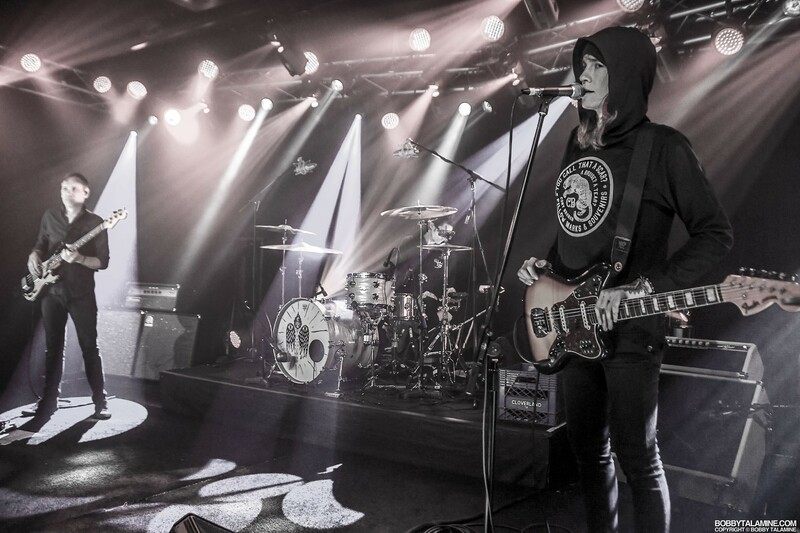 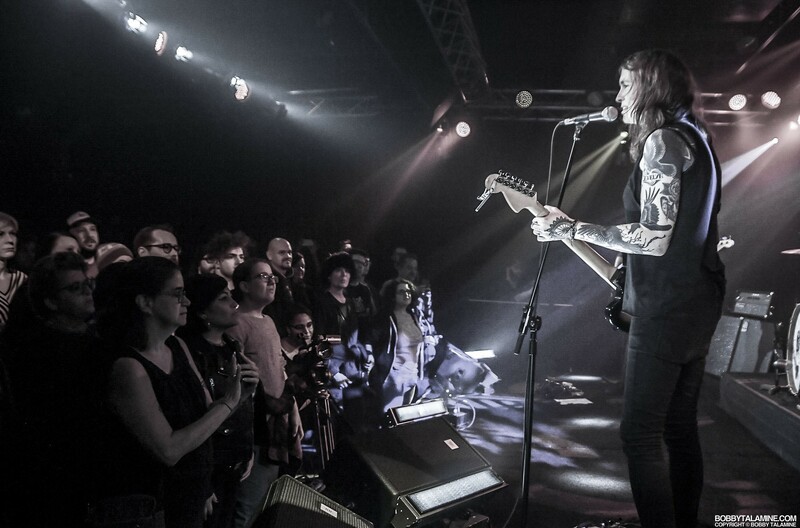 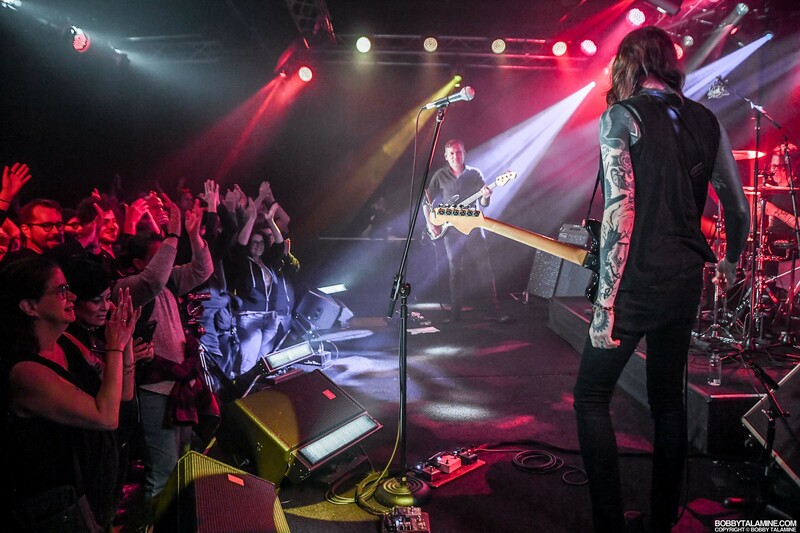 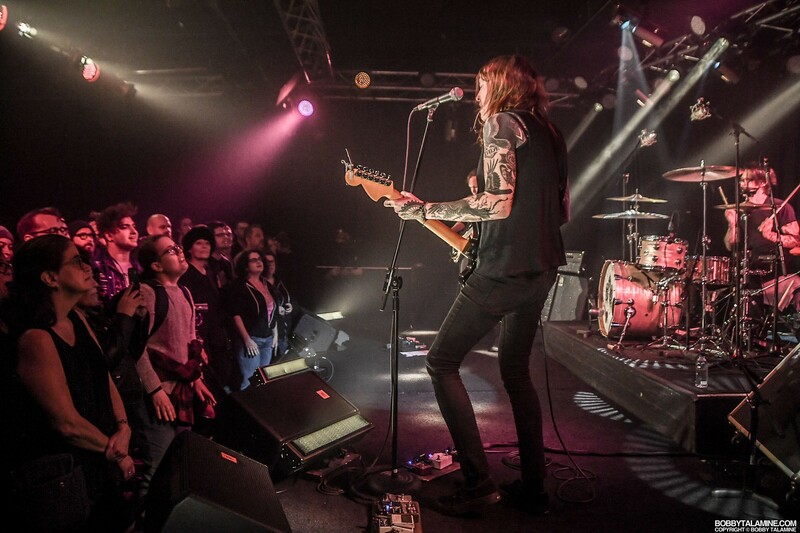 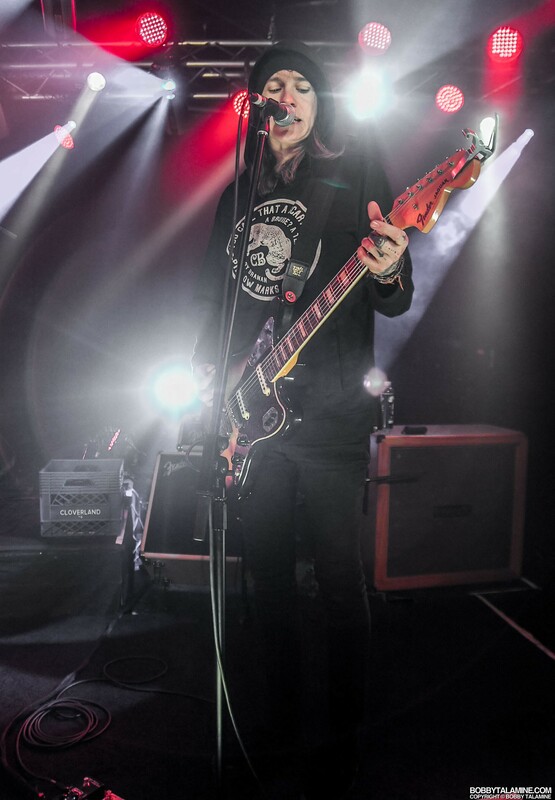 Laura Jane Grace & The Devouring Mothers. 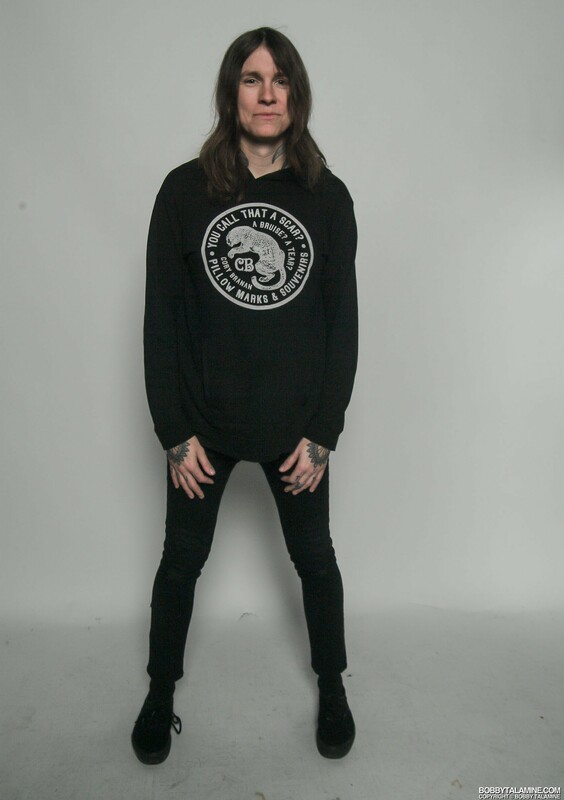 So candid. 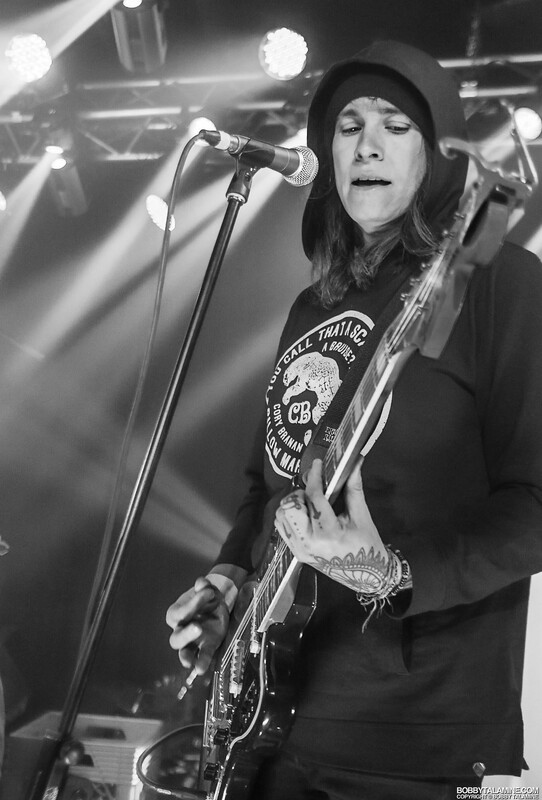 so compelling. 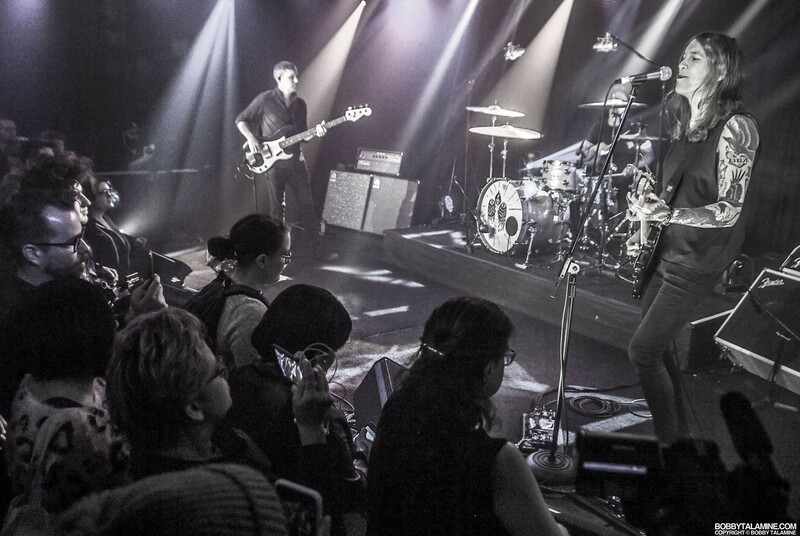 So riveting performing live. 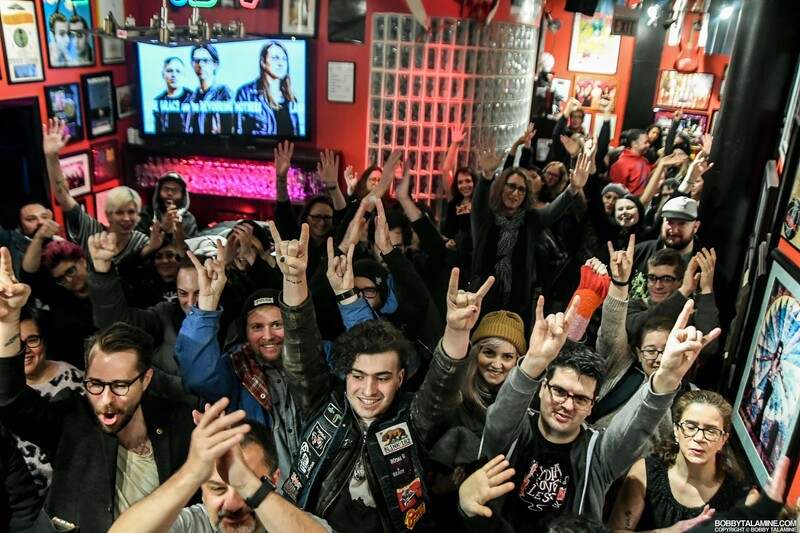 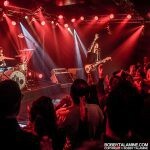 Everything said, the whole day was magical, from when the band loaded in to JBTV, up through the entire performance.